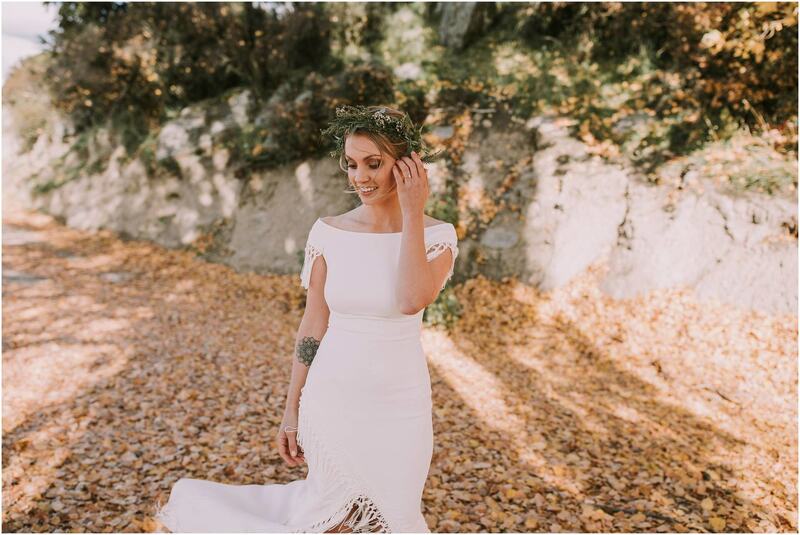 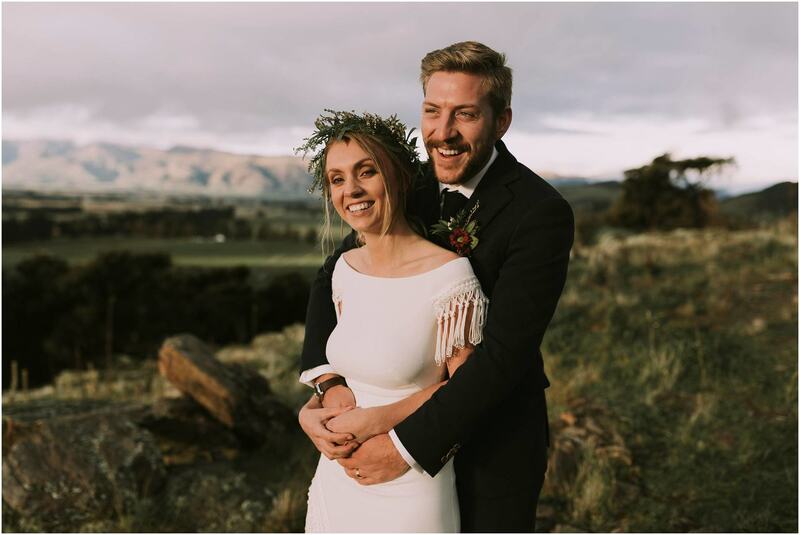 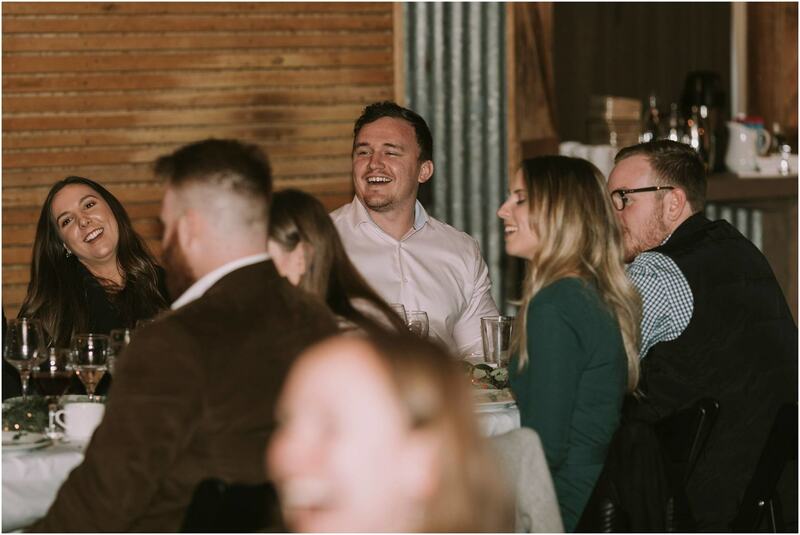 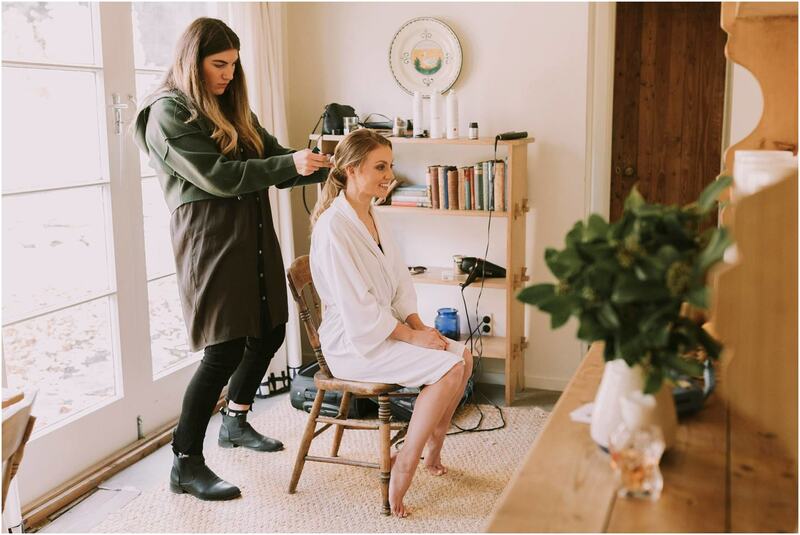 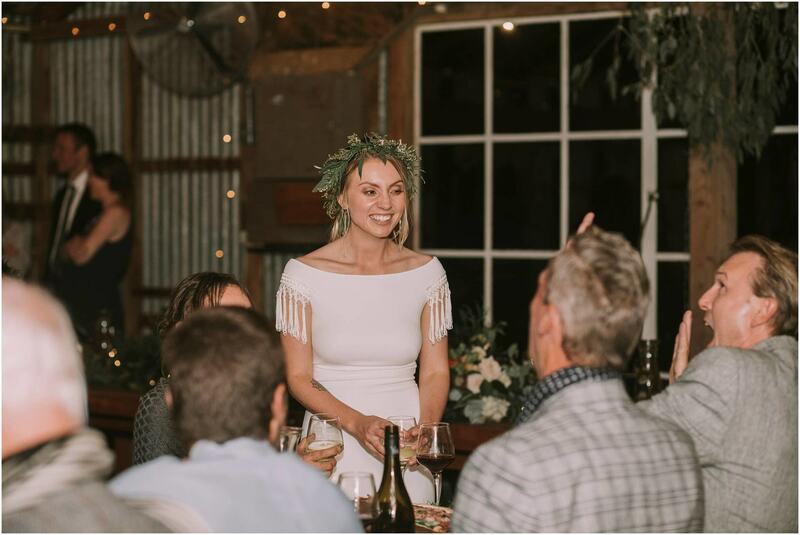 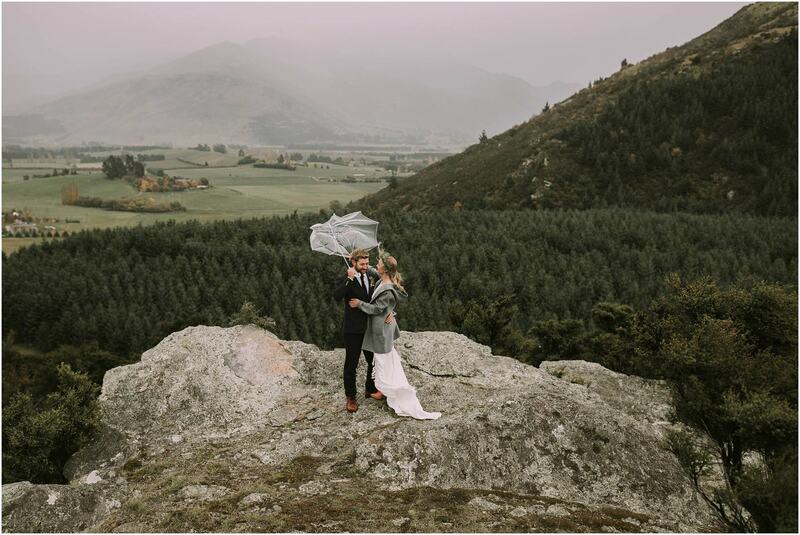 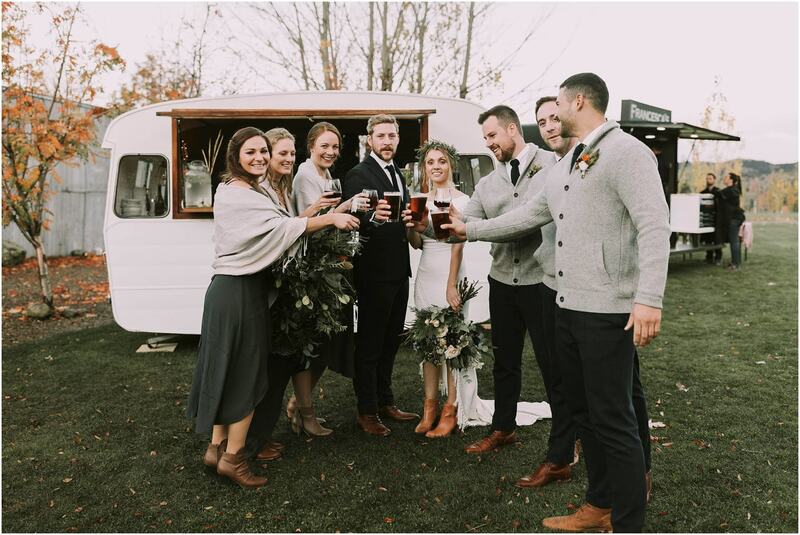 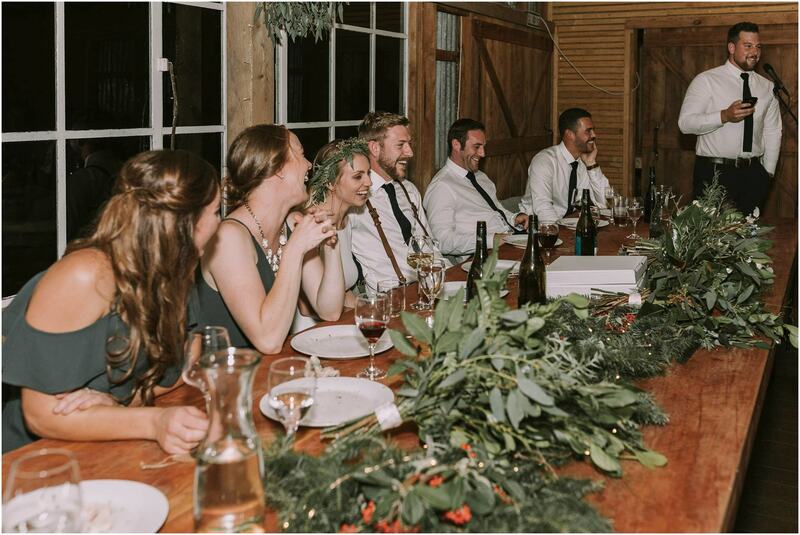 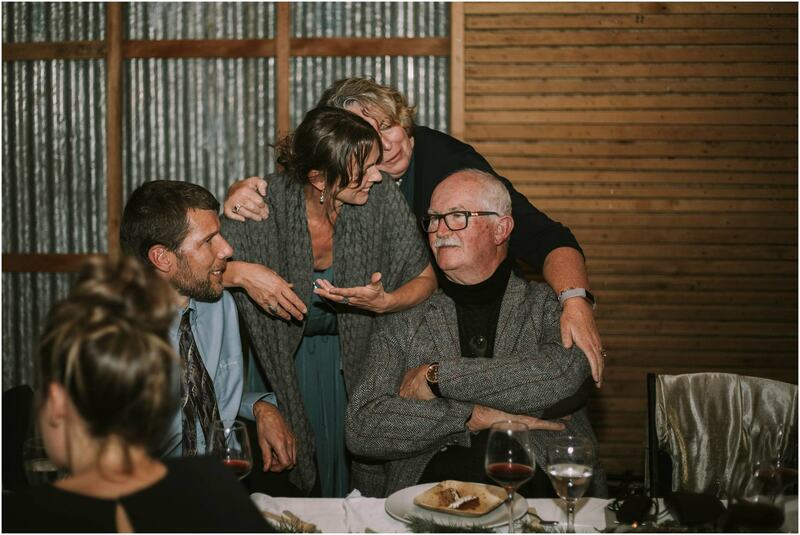 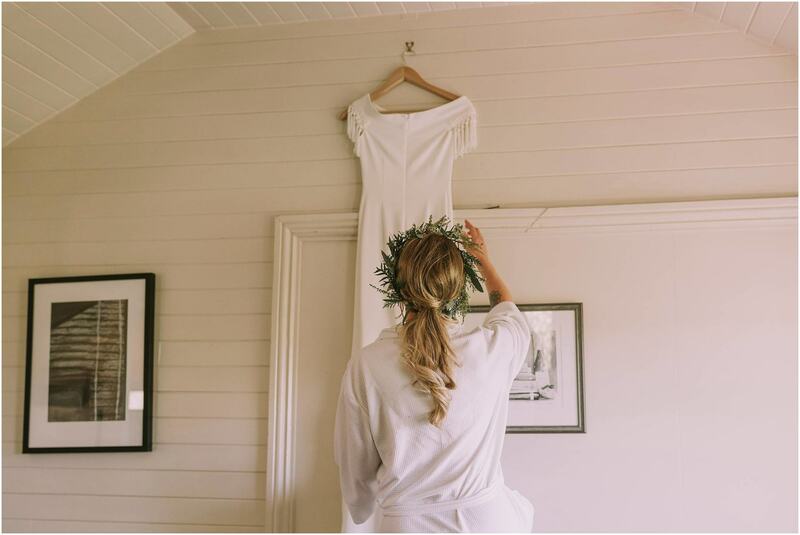 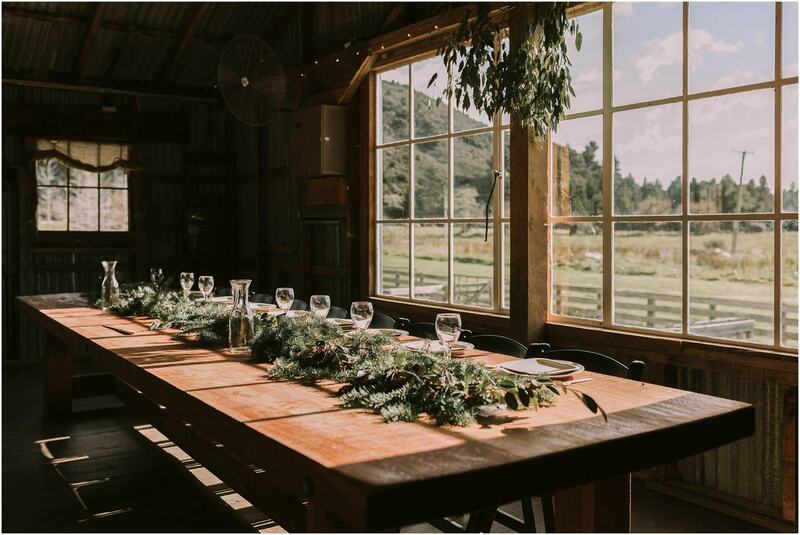 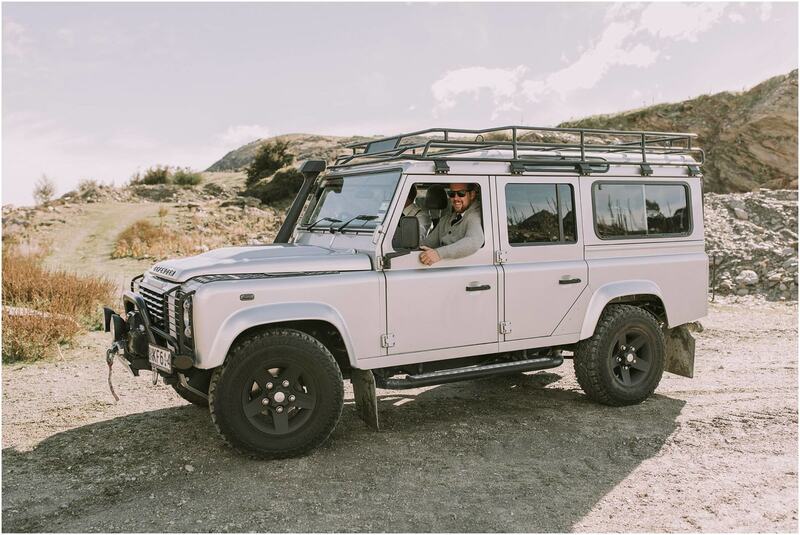 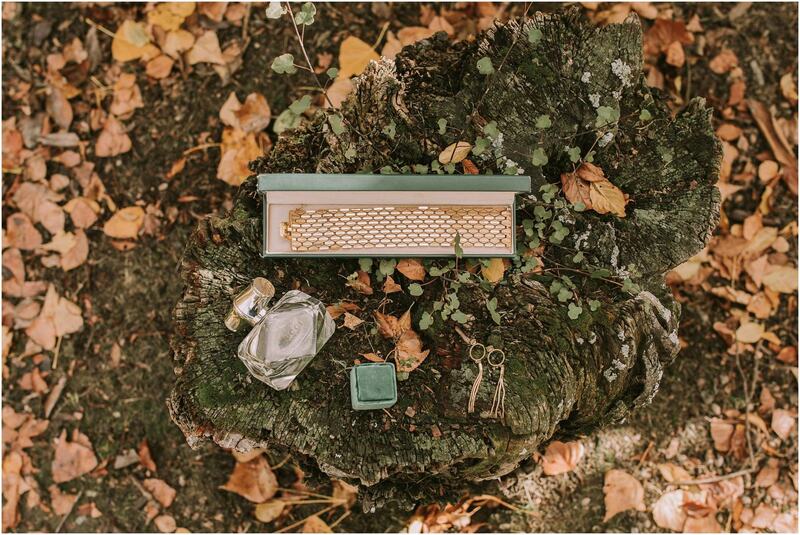 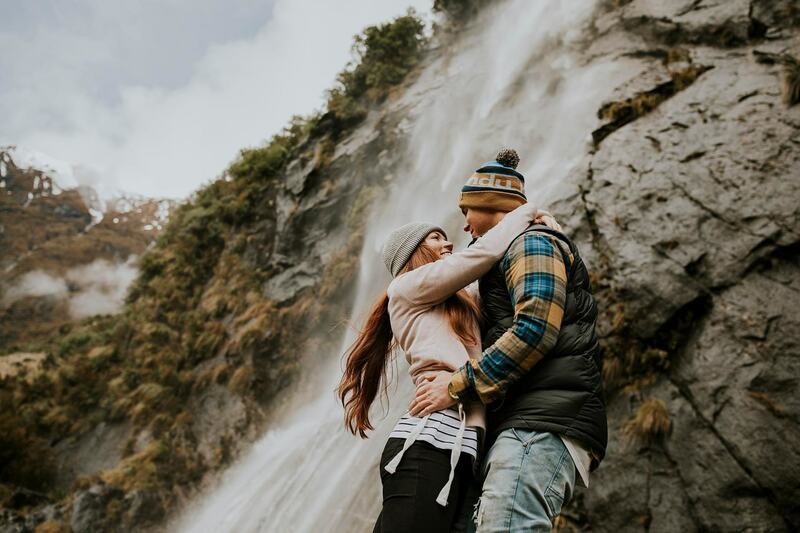 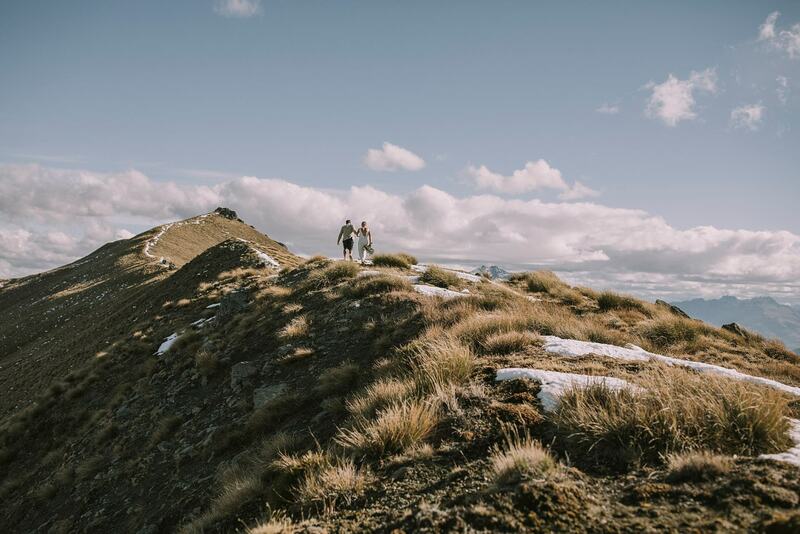 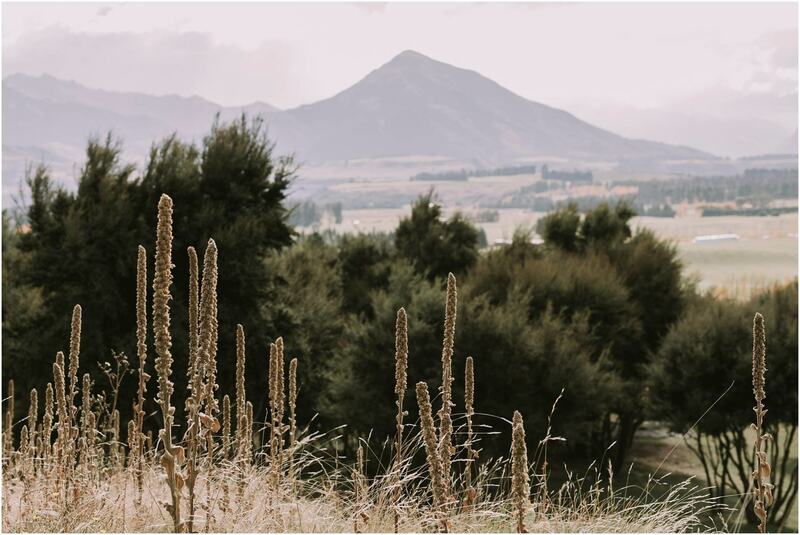 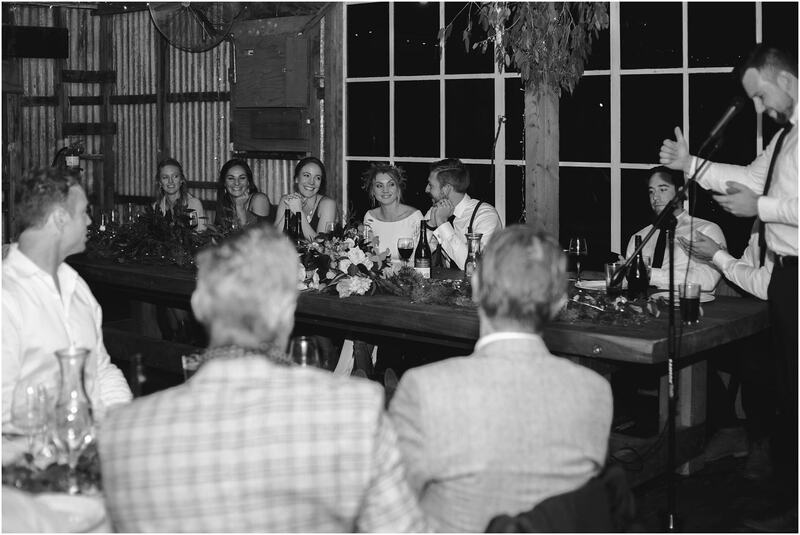 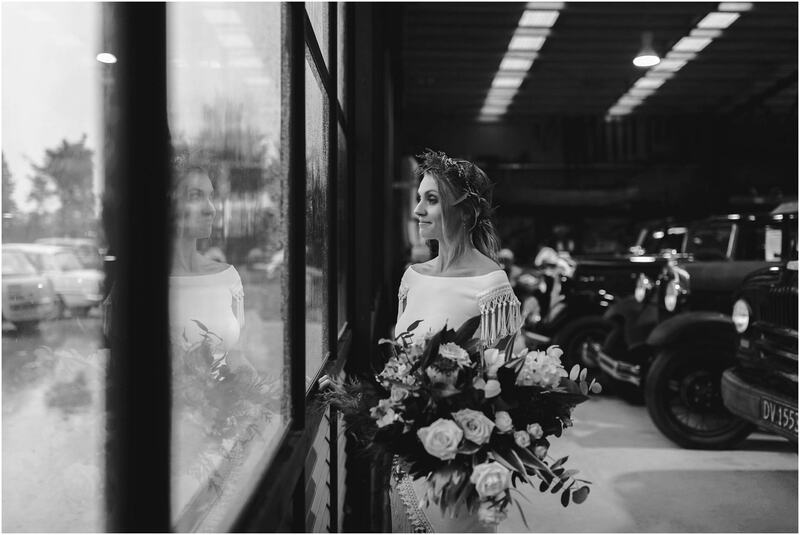 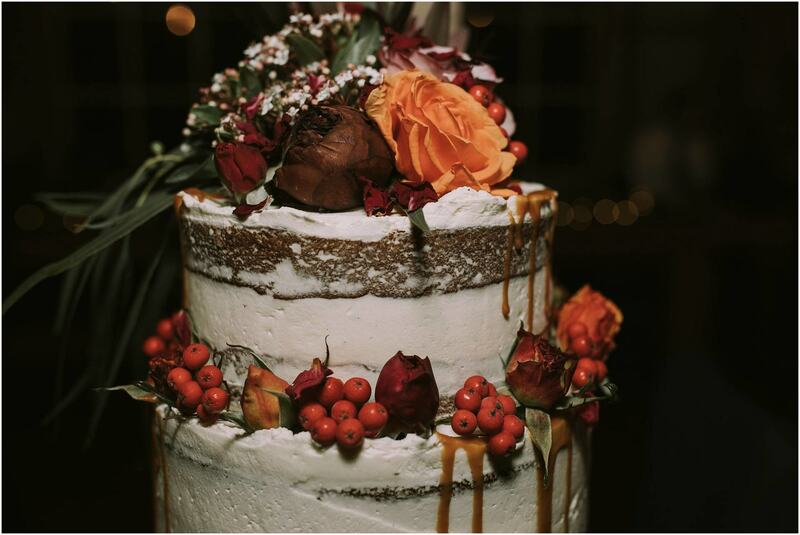 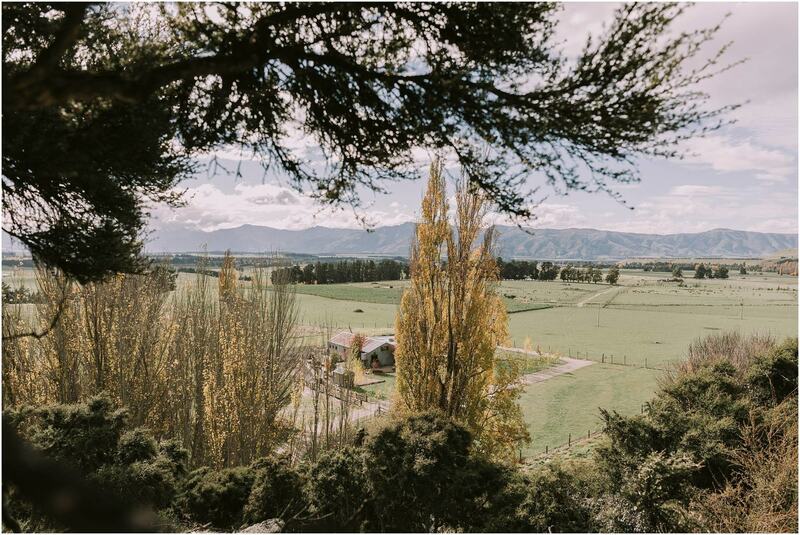 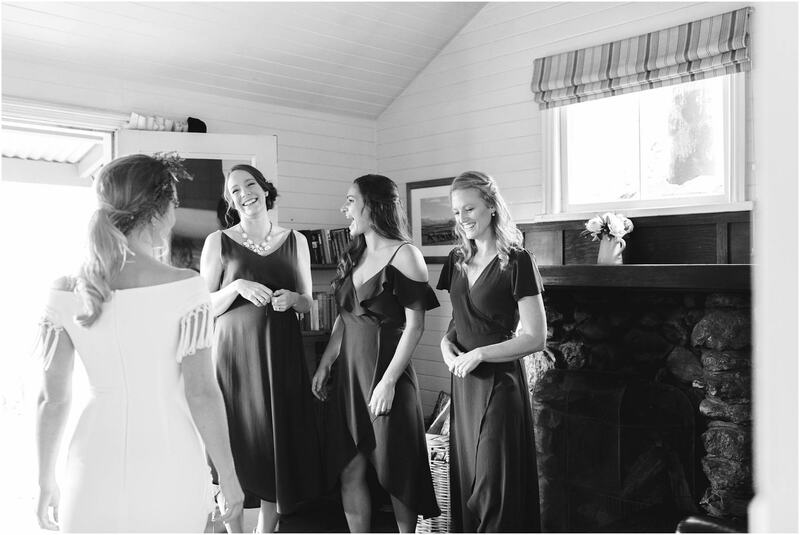 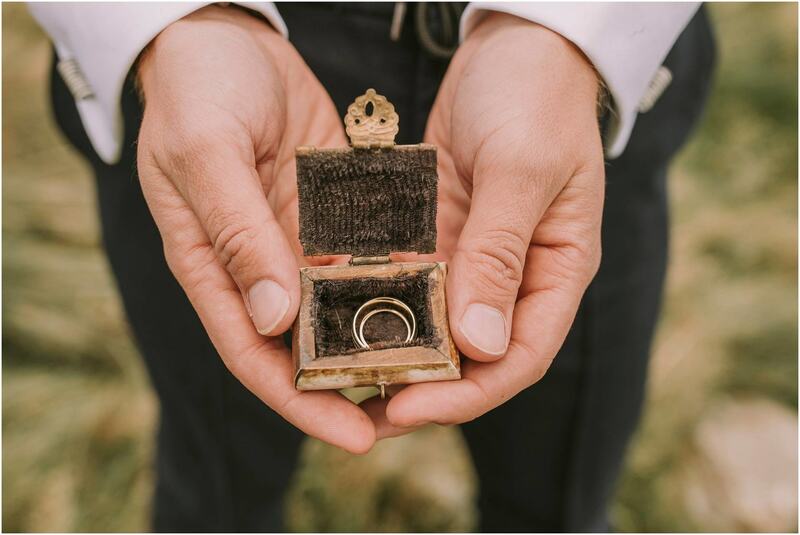 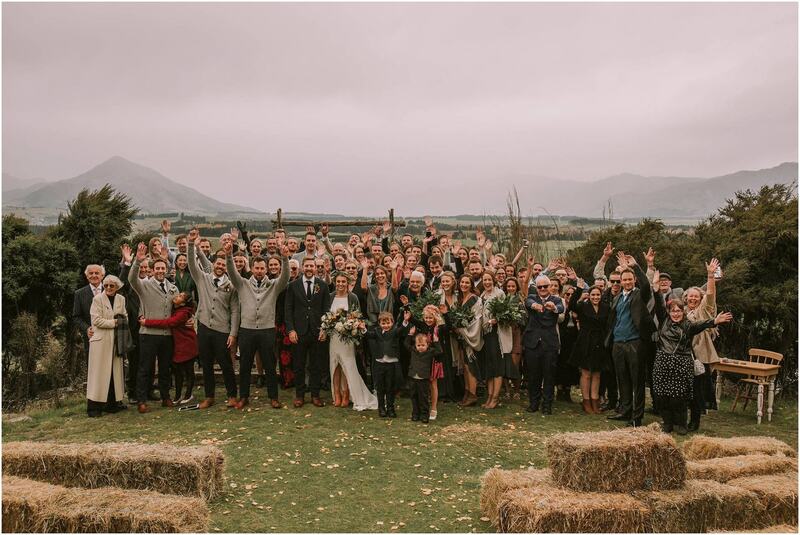 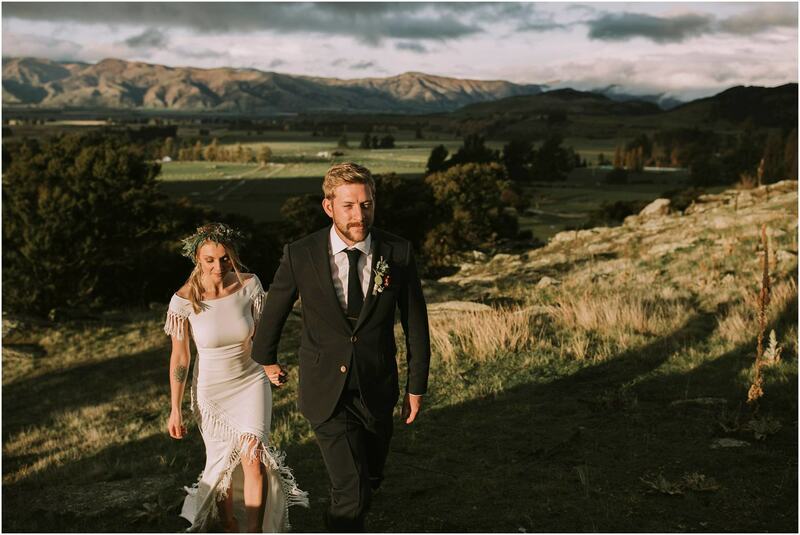 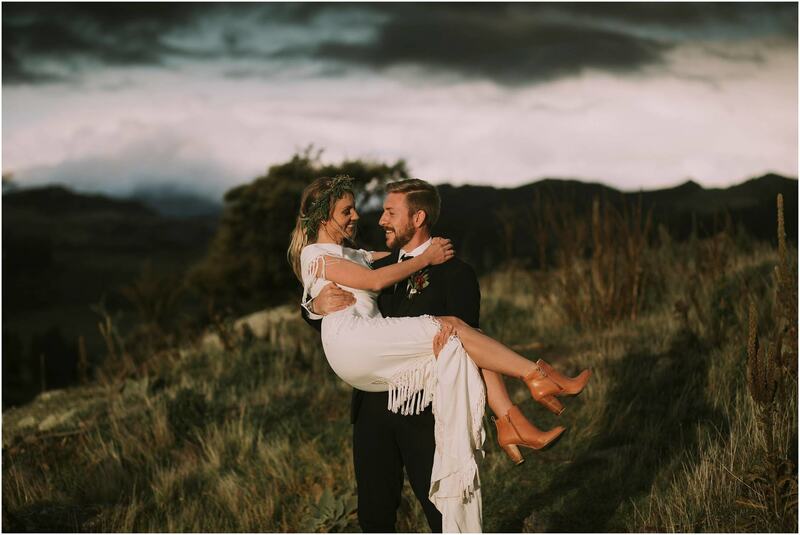 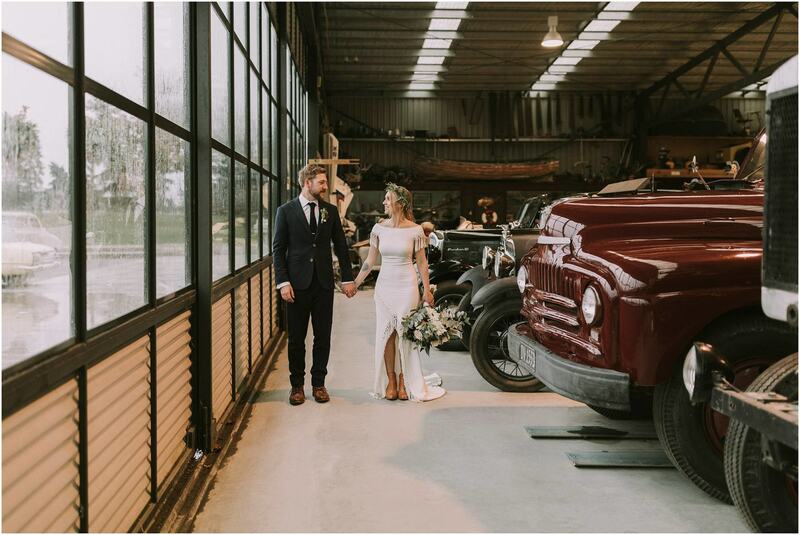 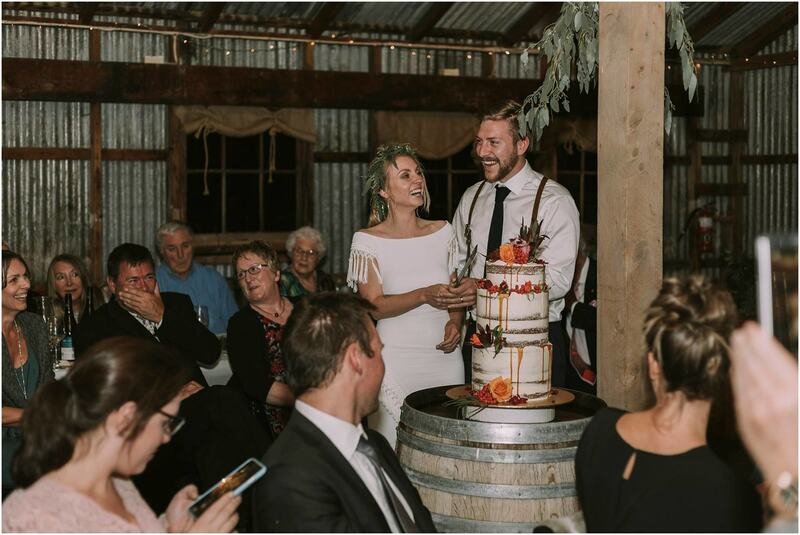 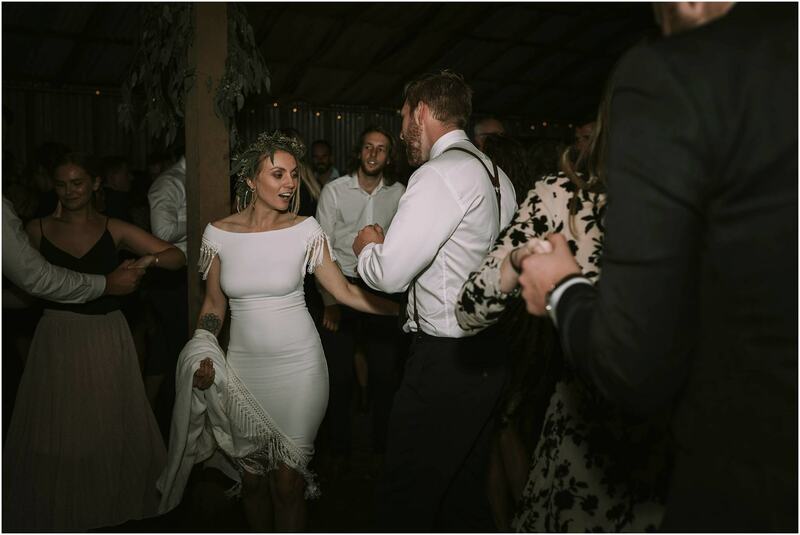 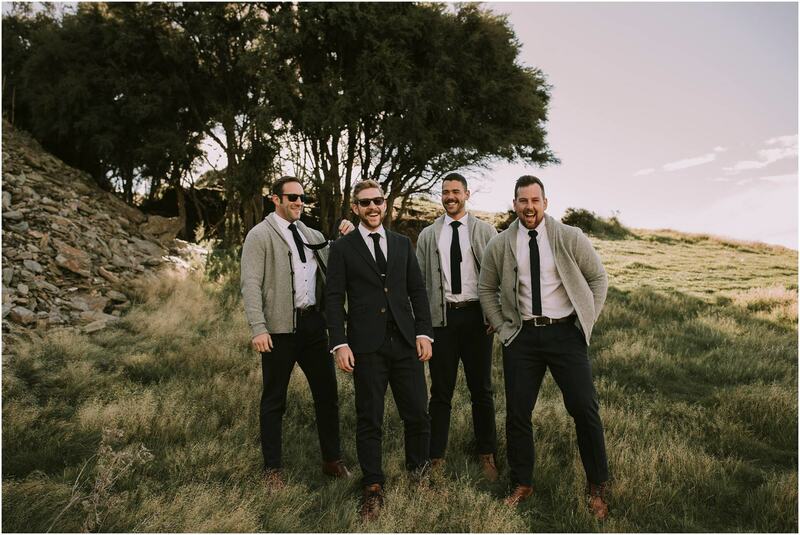 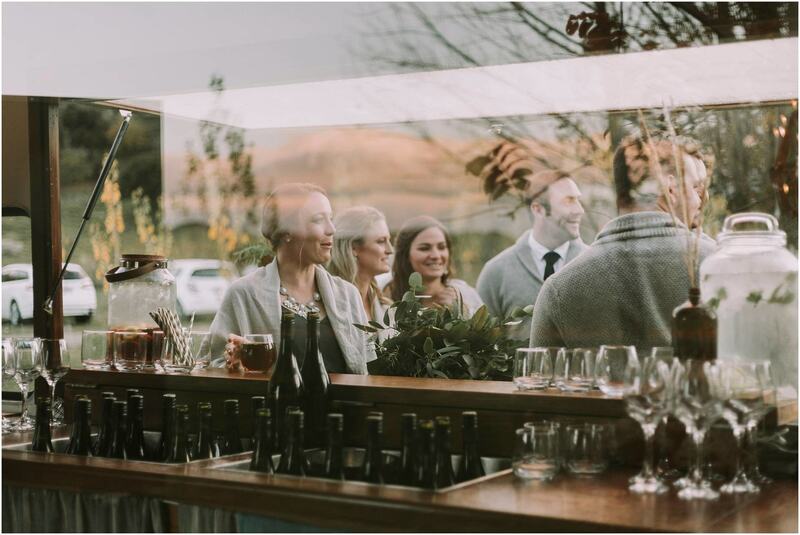 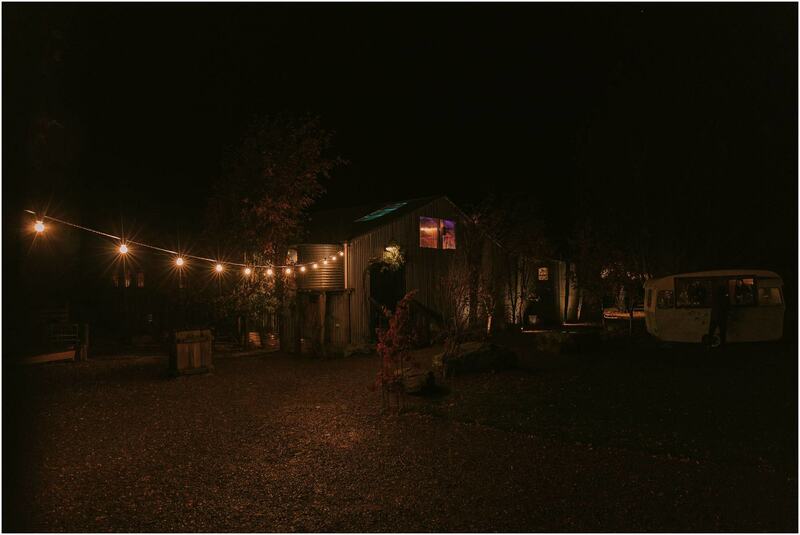 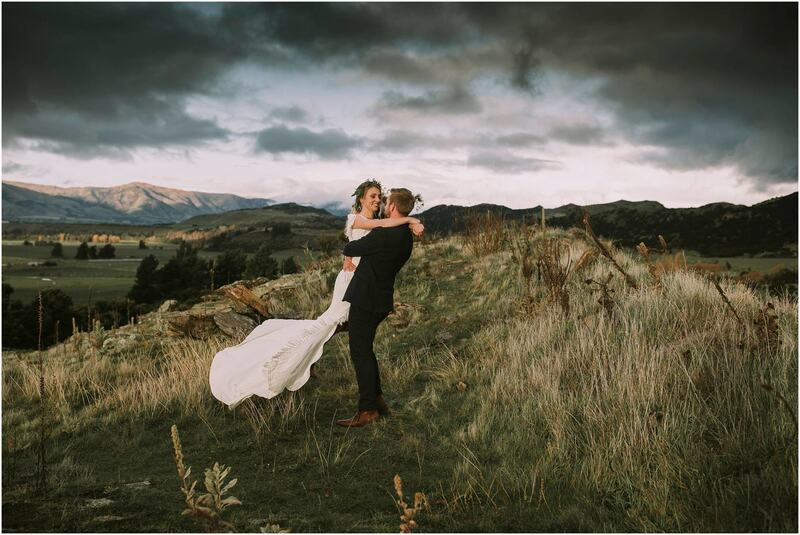 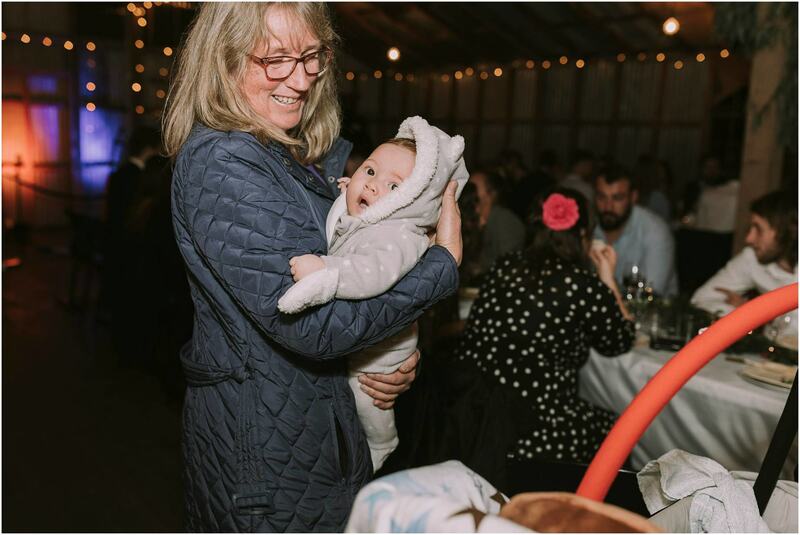 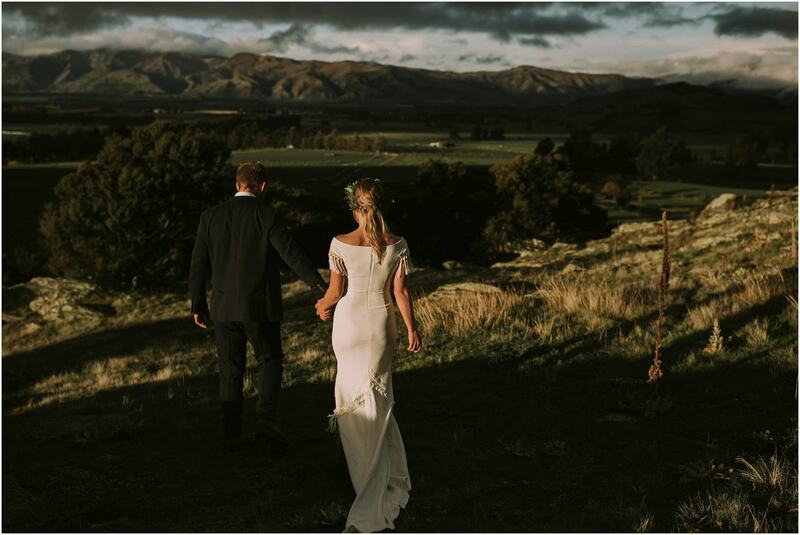 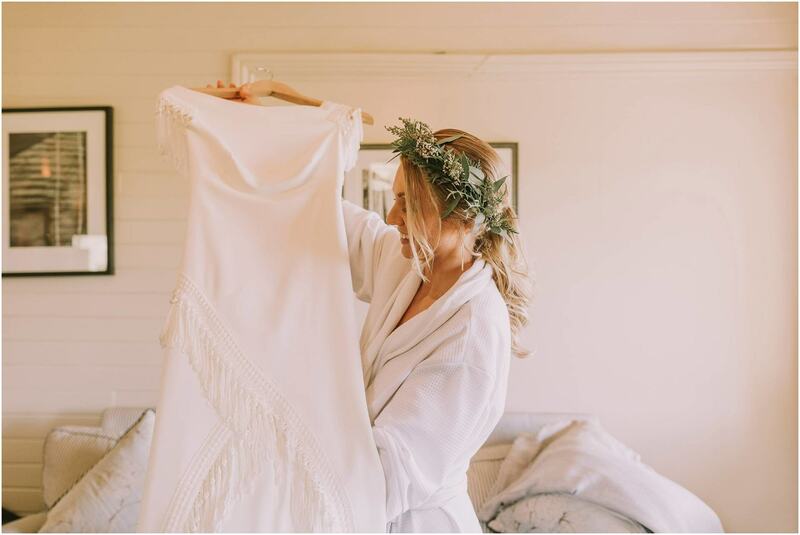 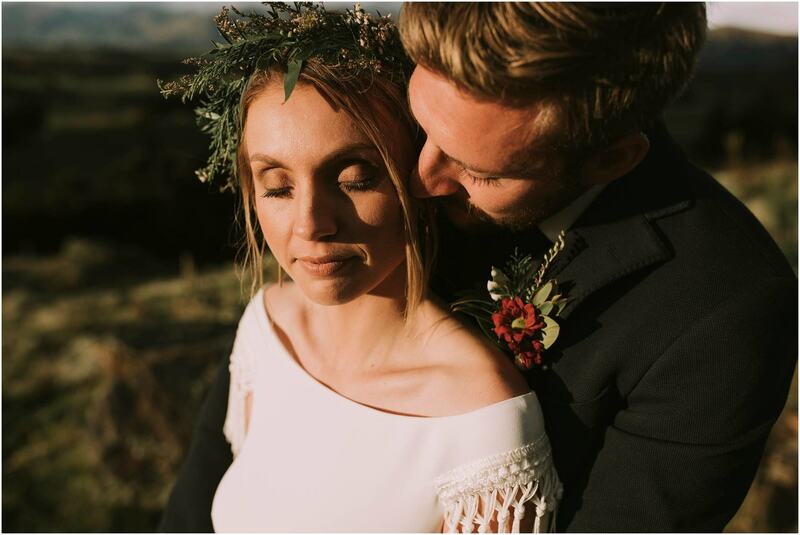 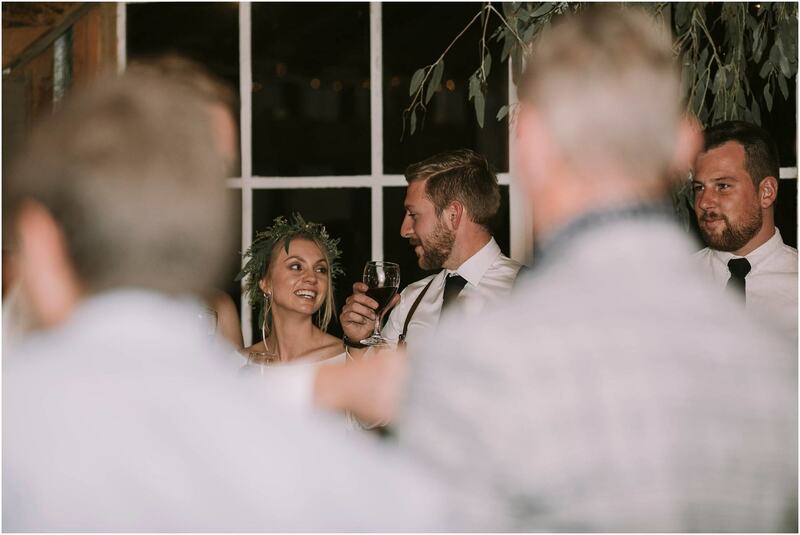 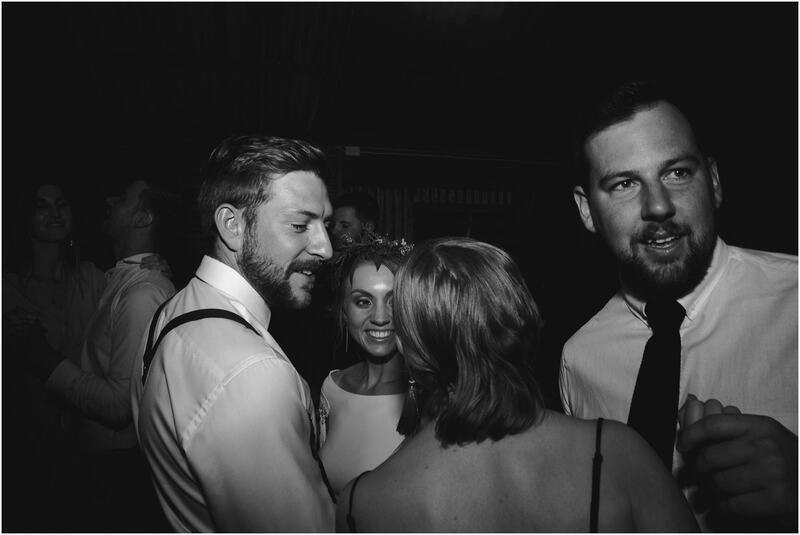 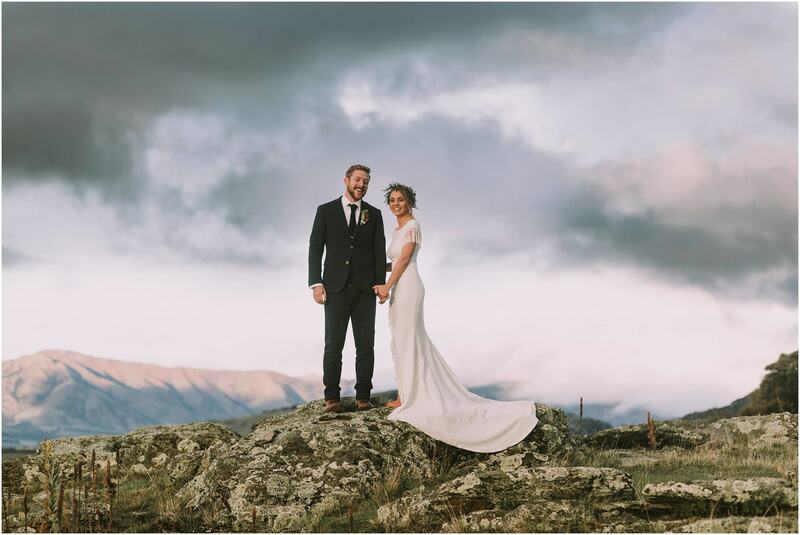 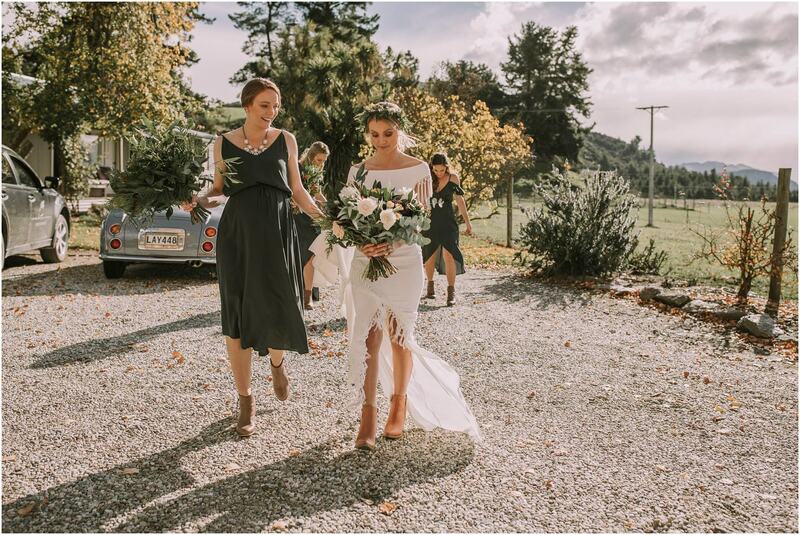 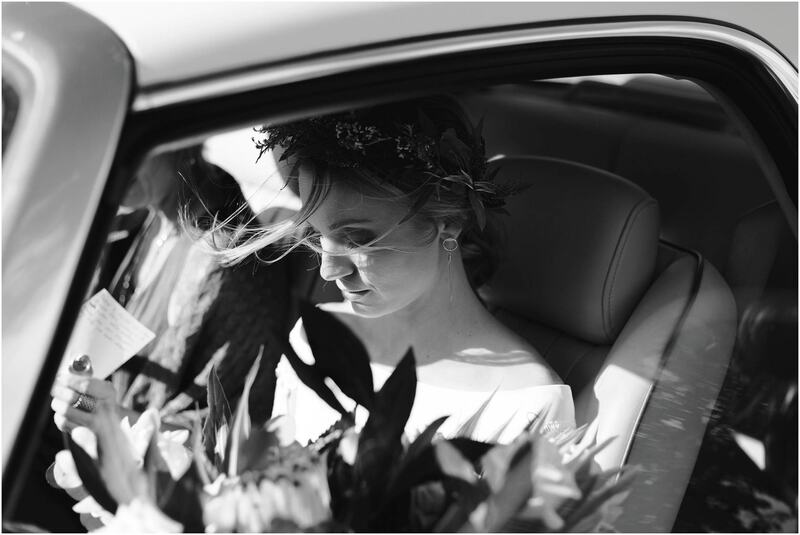 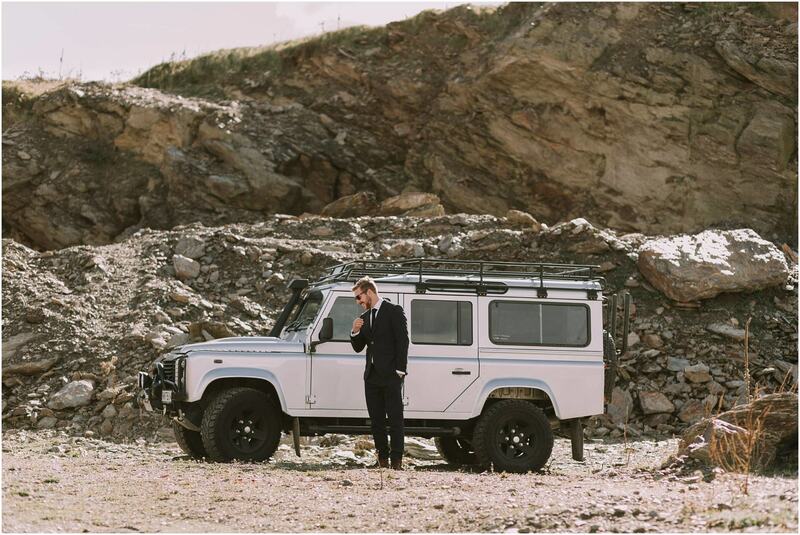 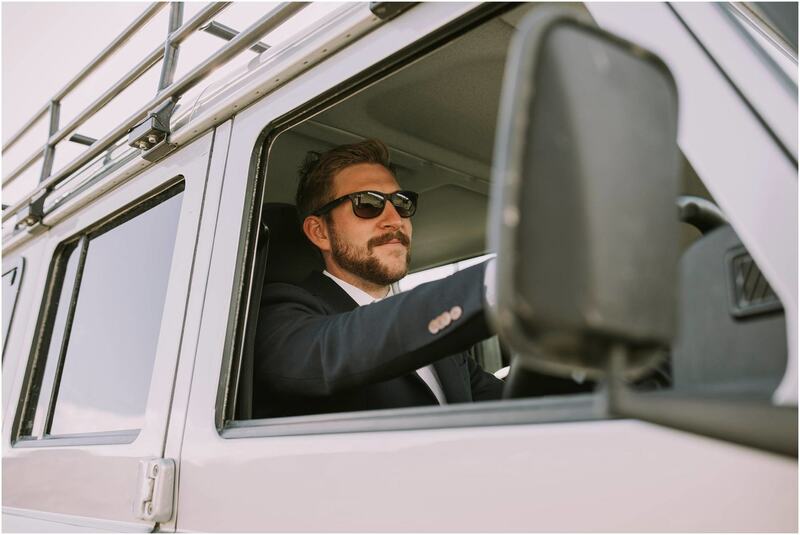 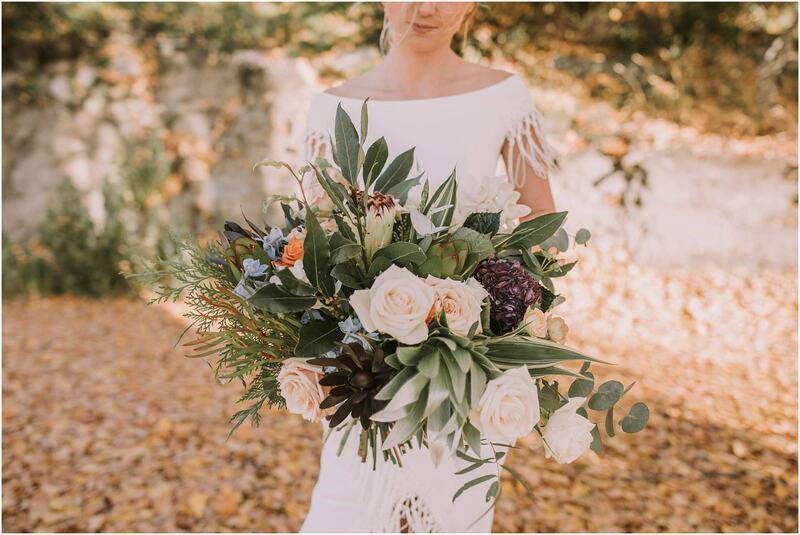 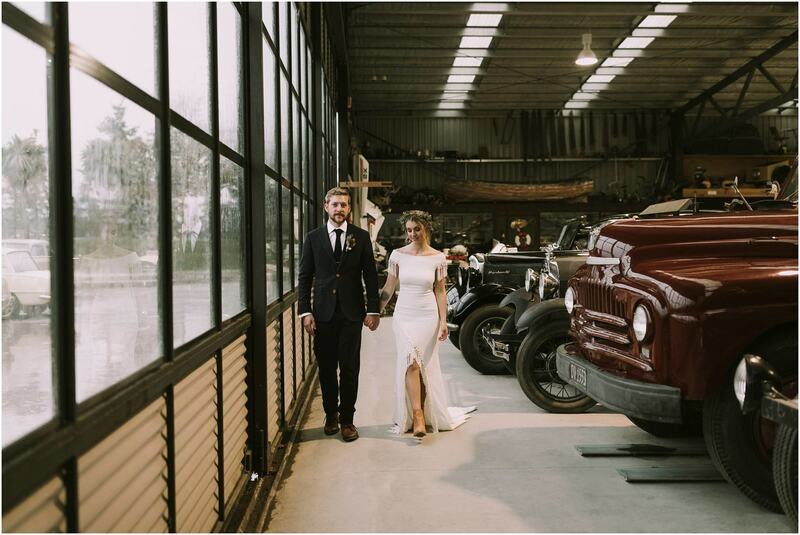 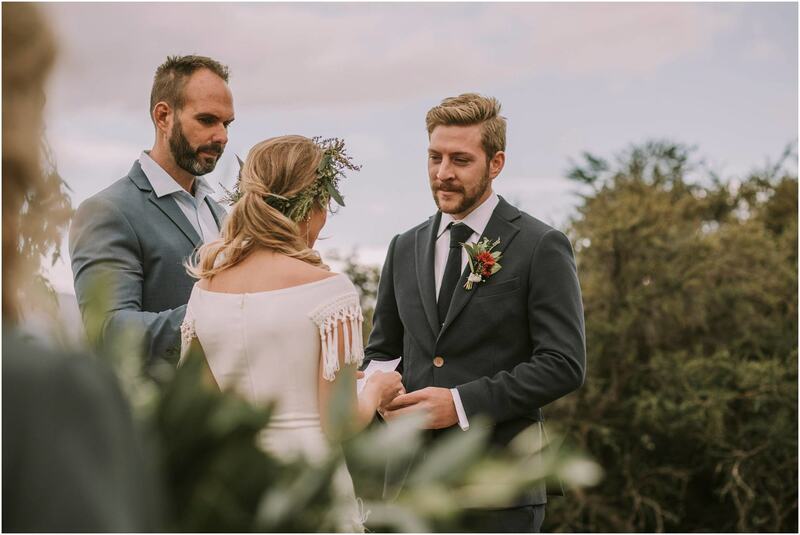 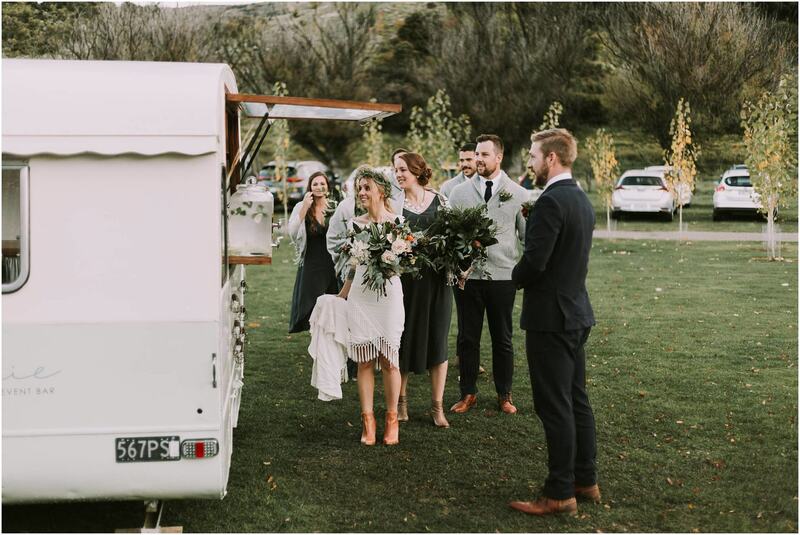 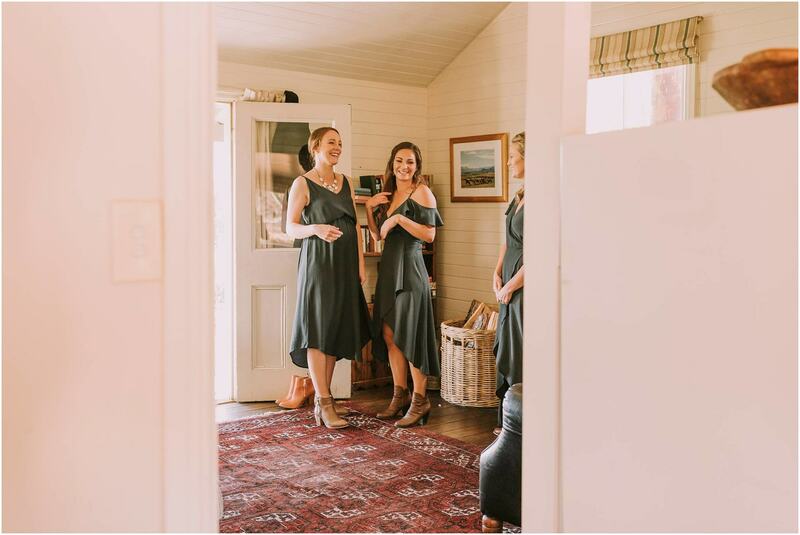 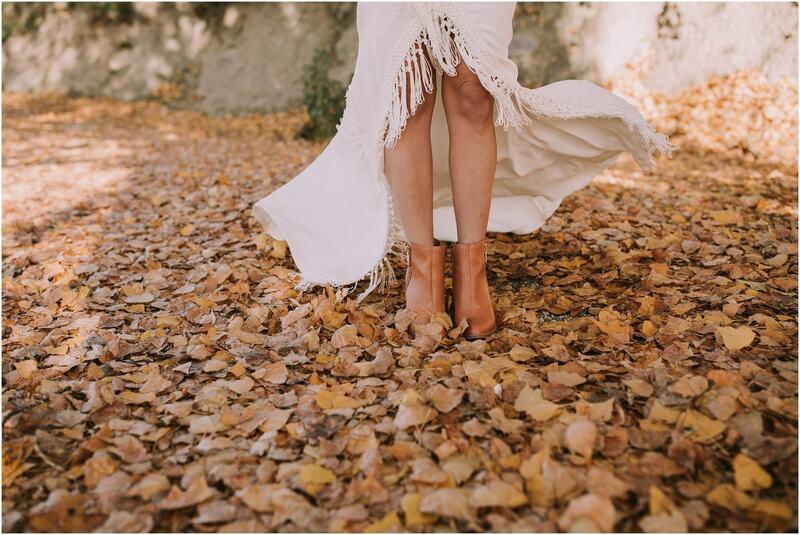 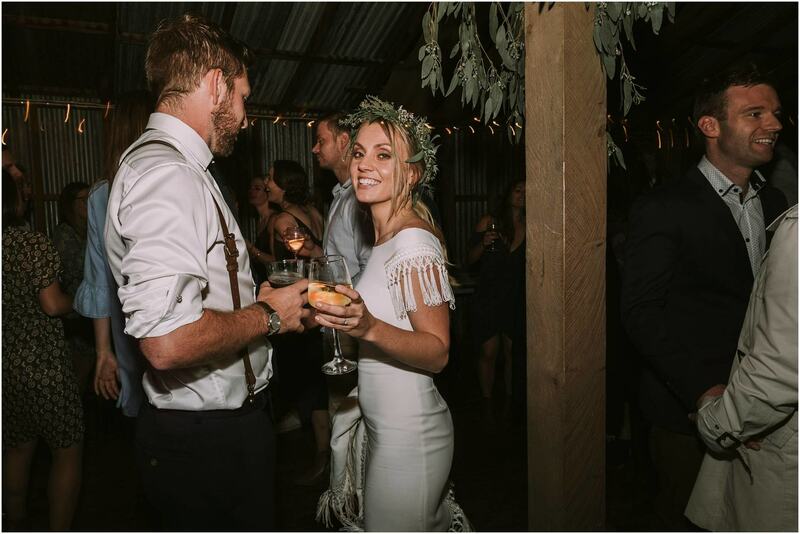 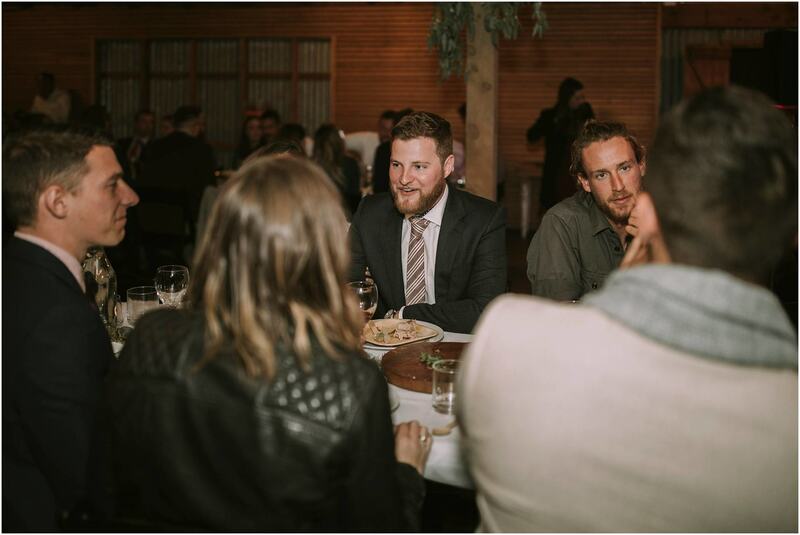 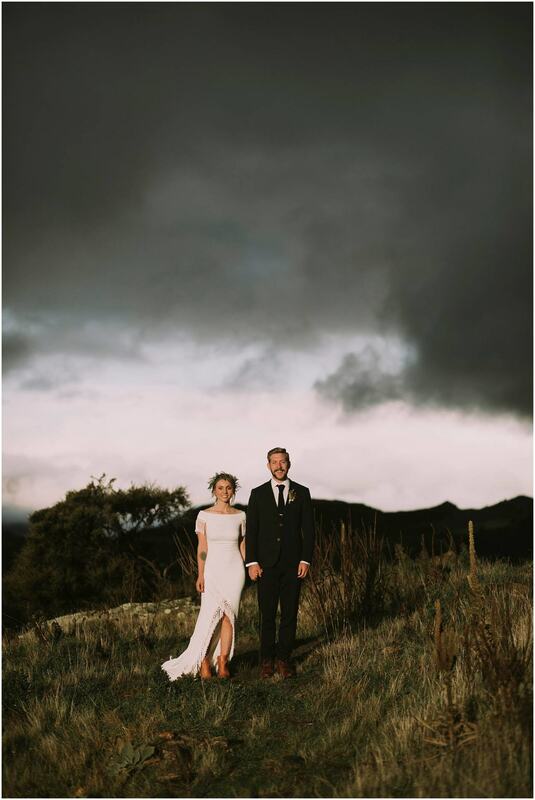 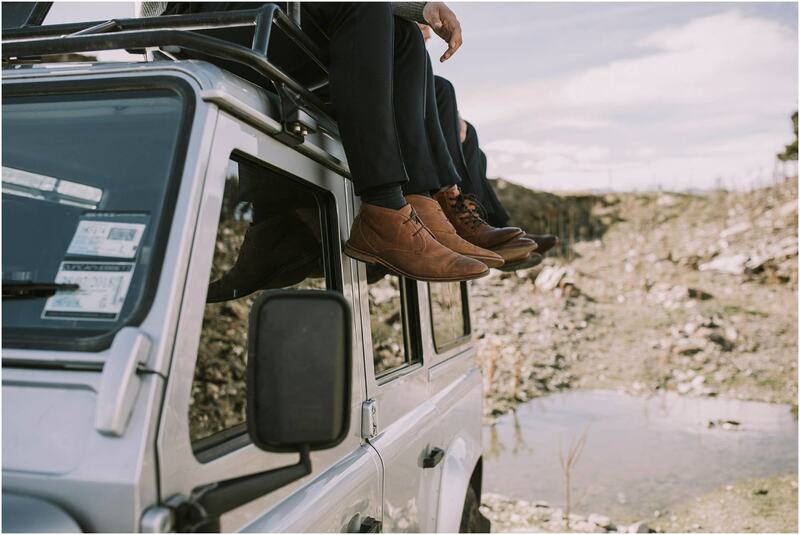 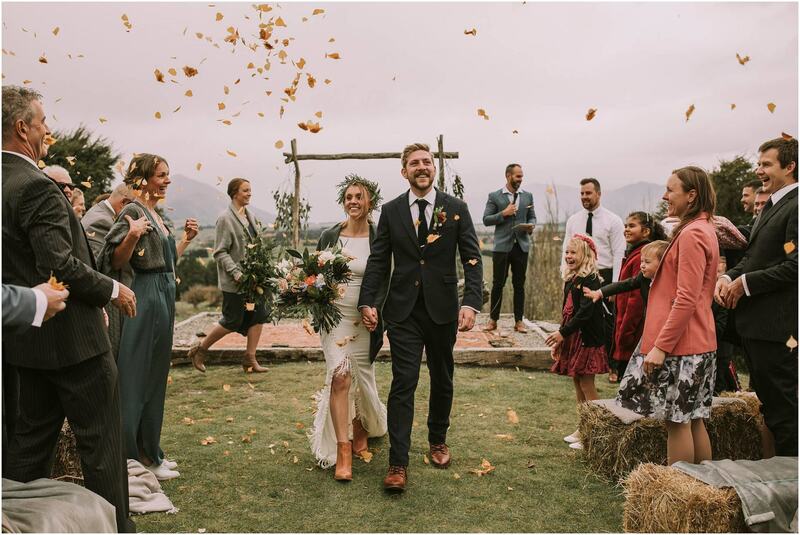 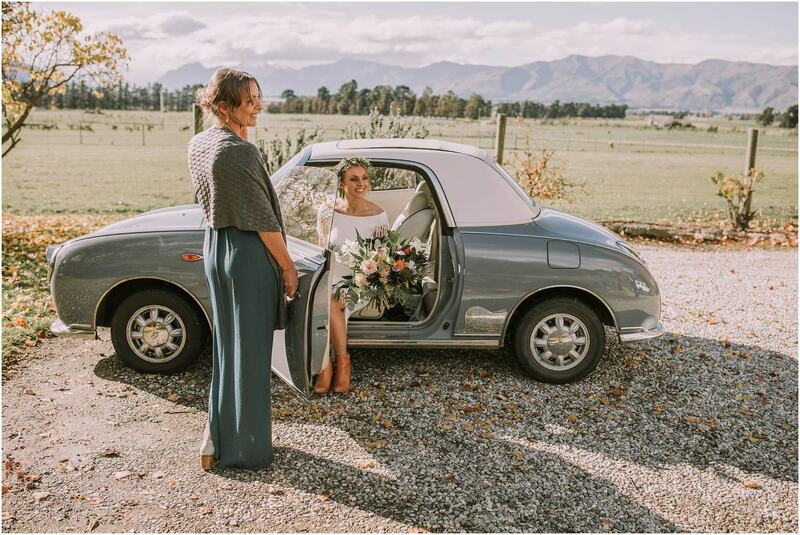 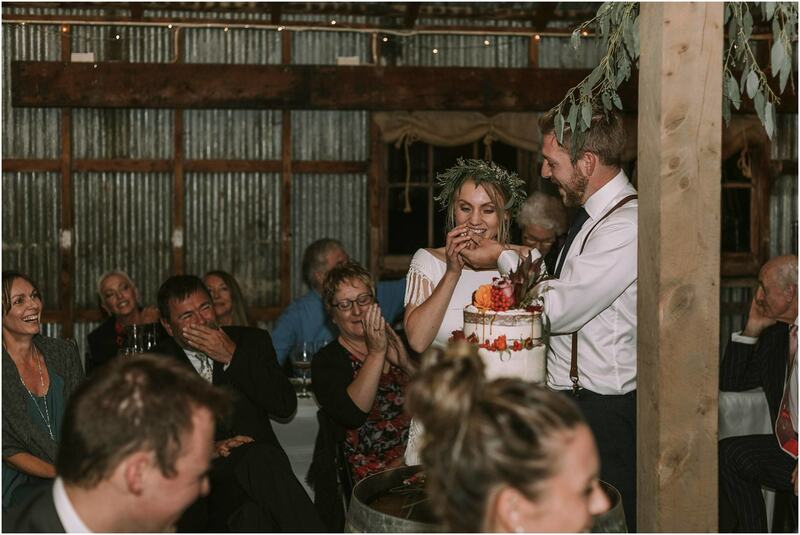 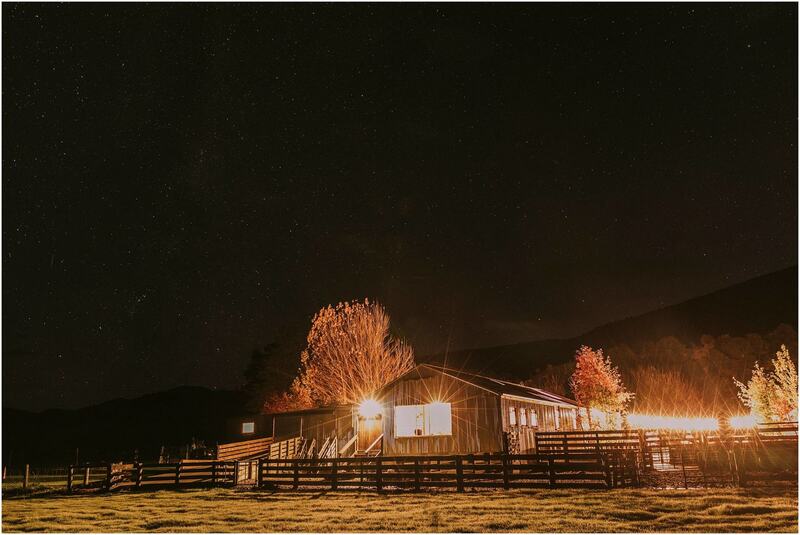 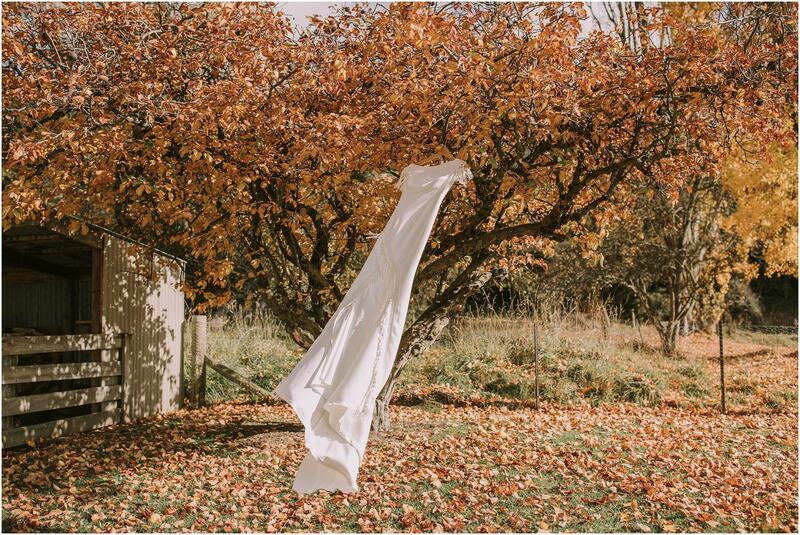 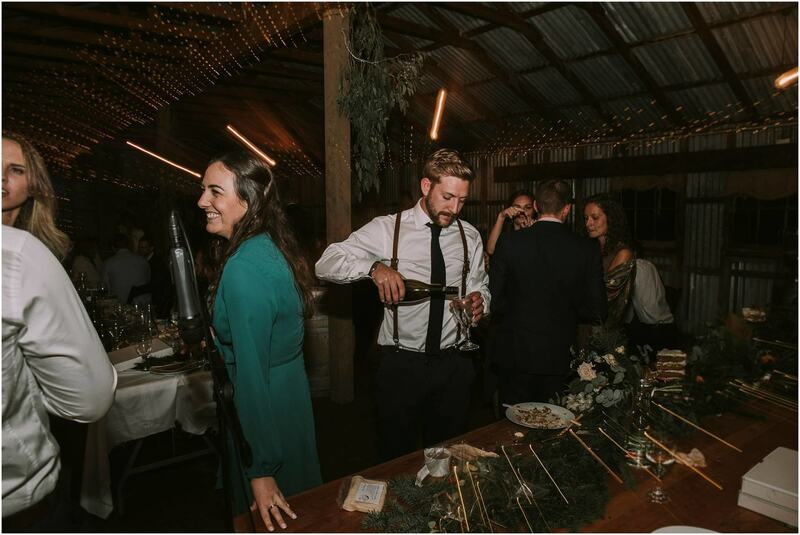 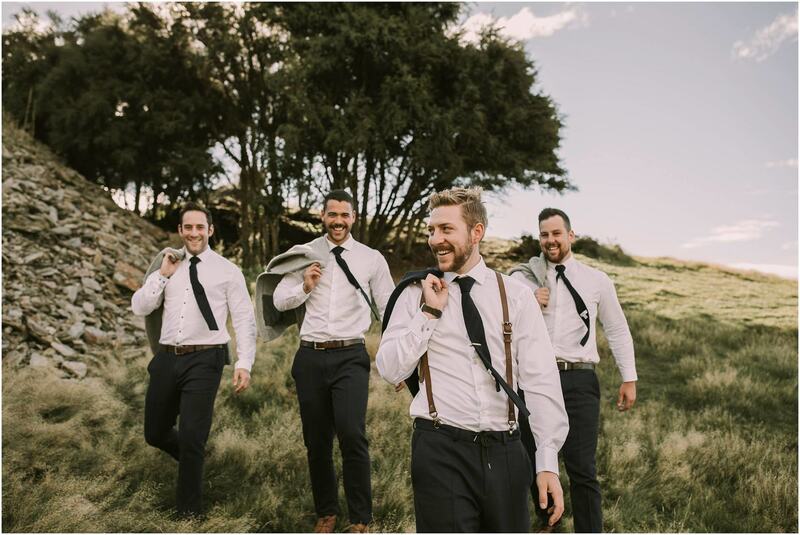 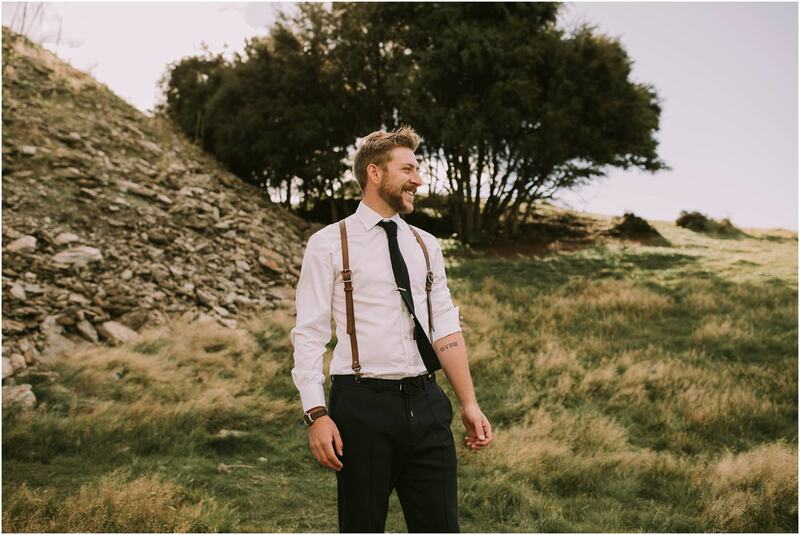 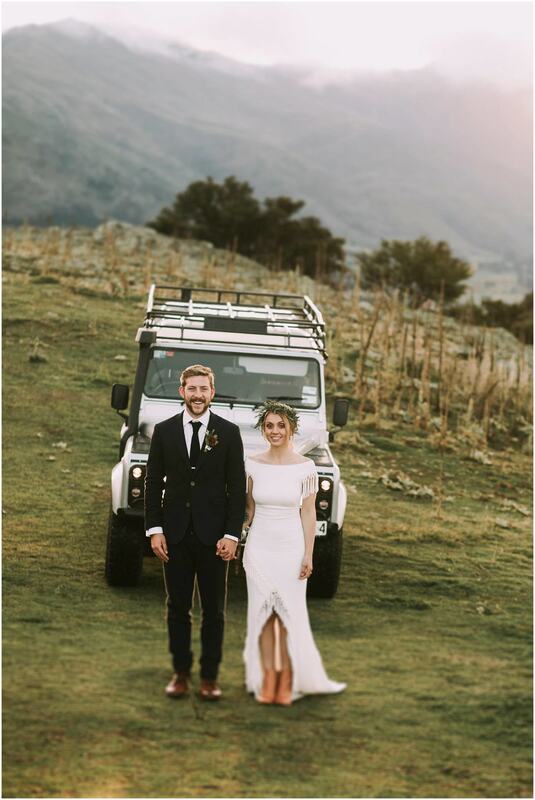 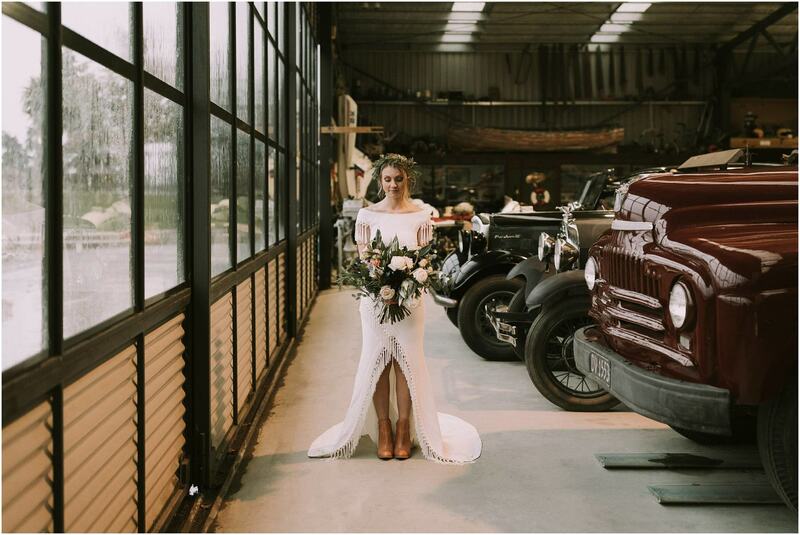 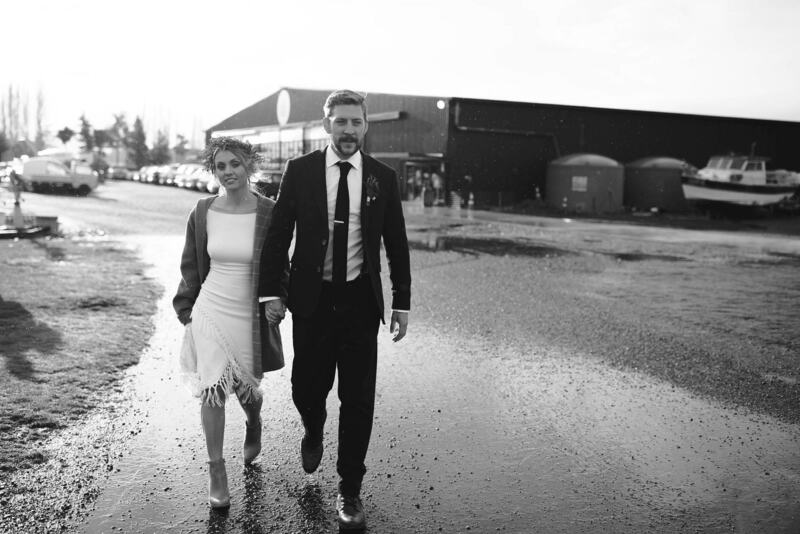 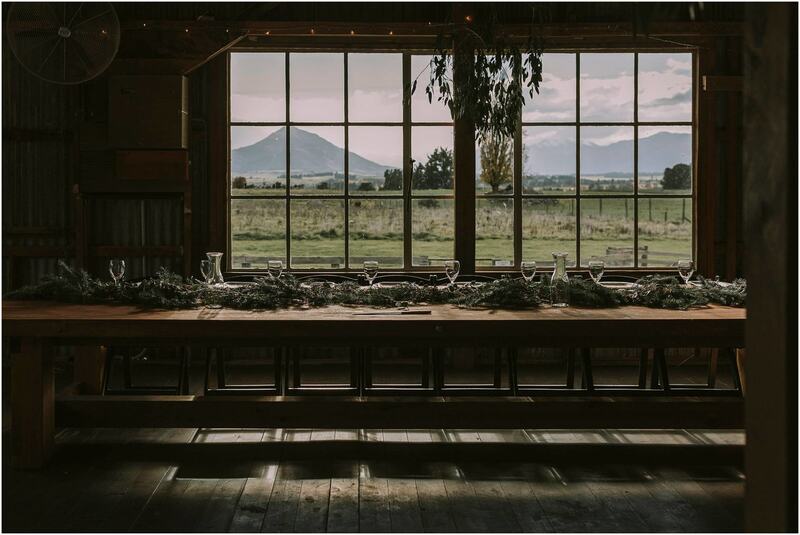 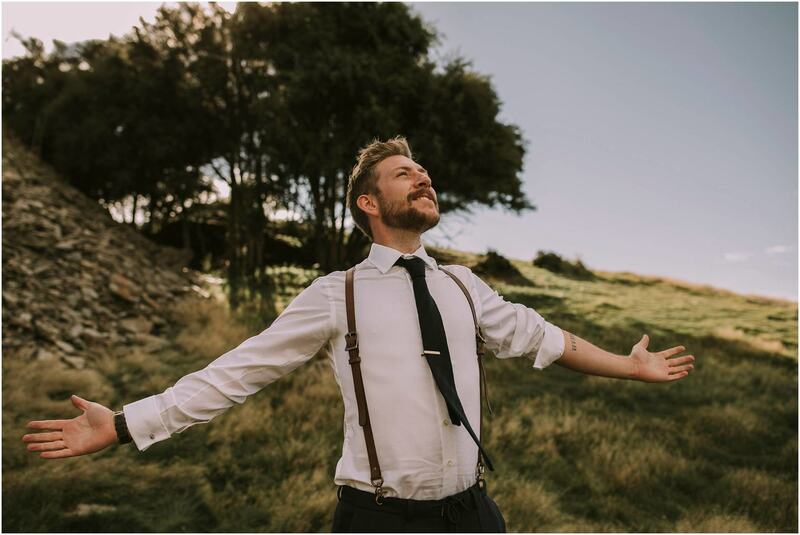 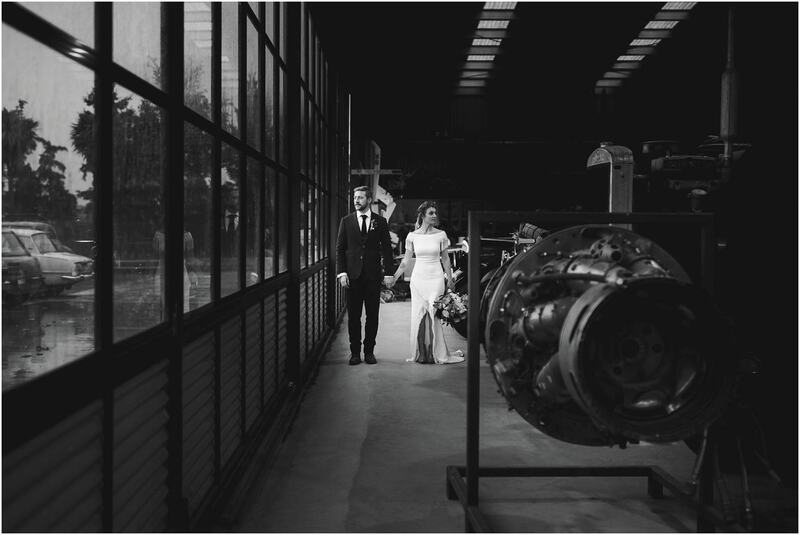 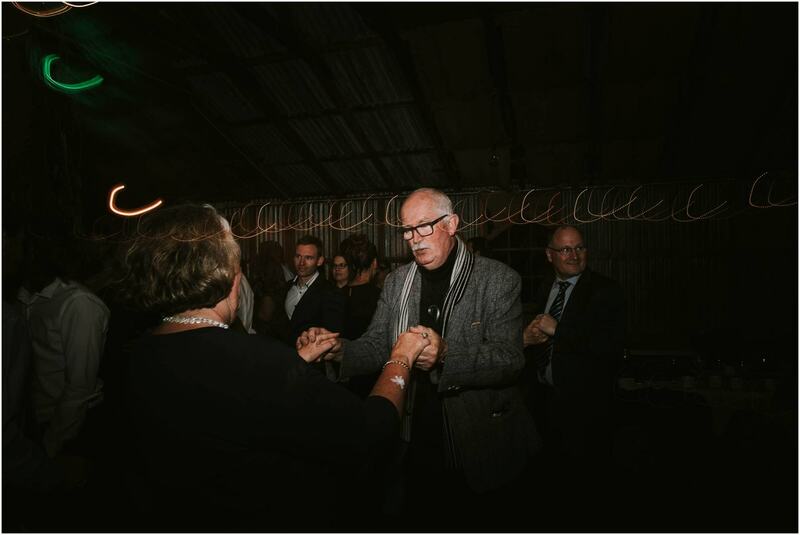 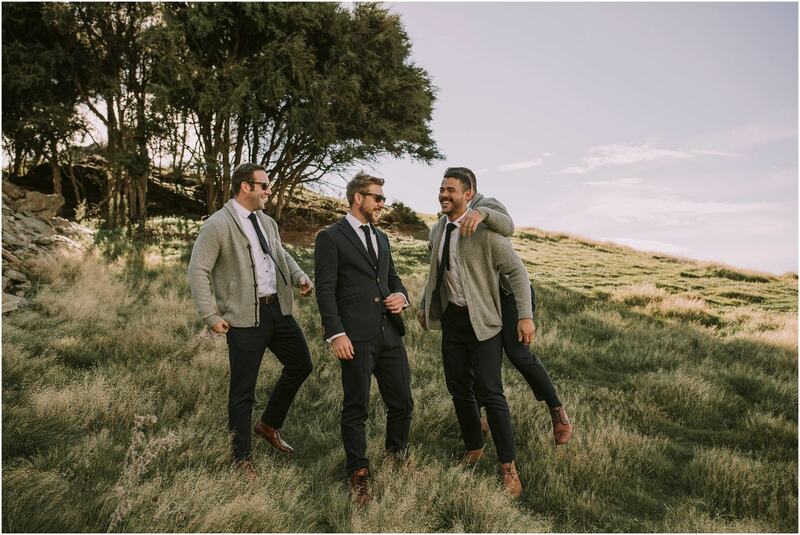 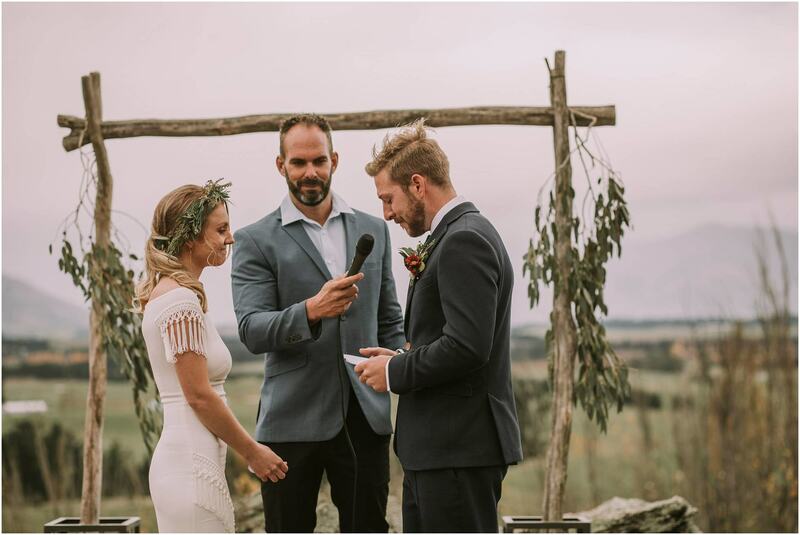 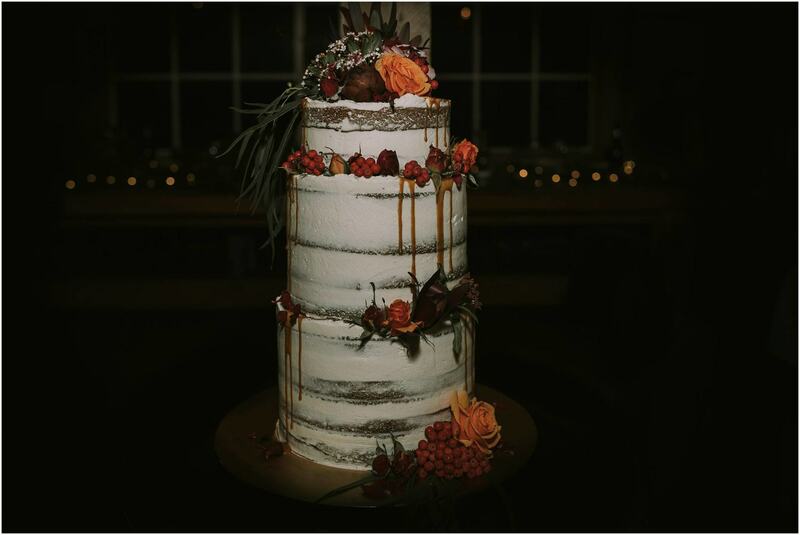 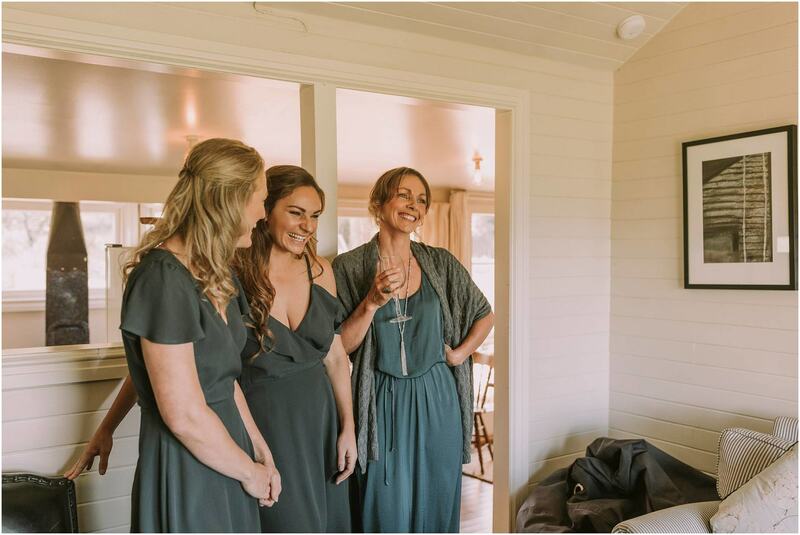 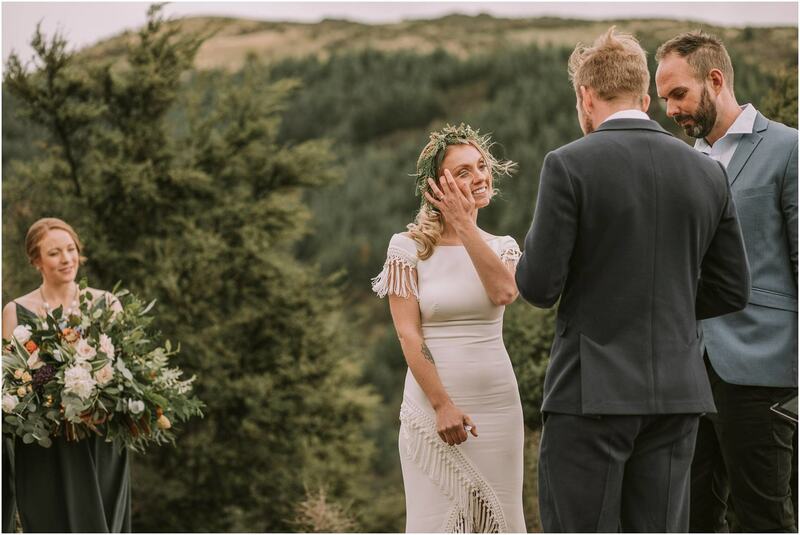 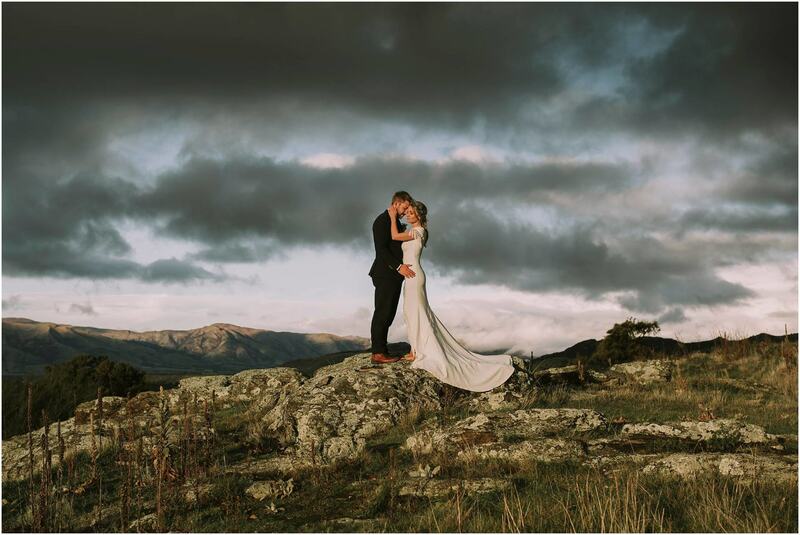 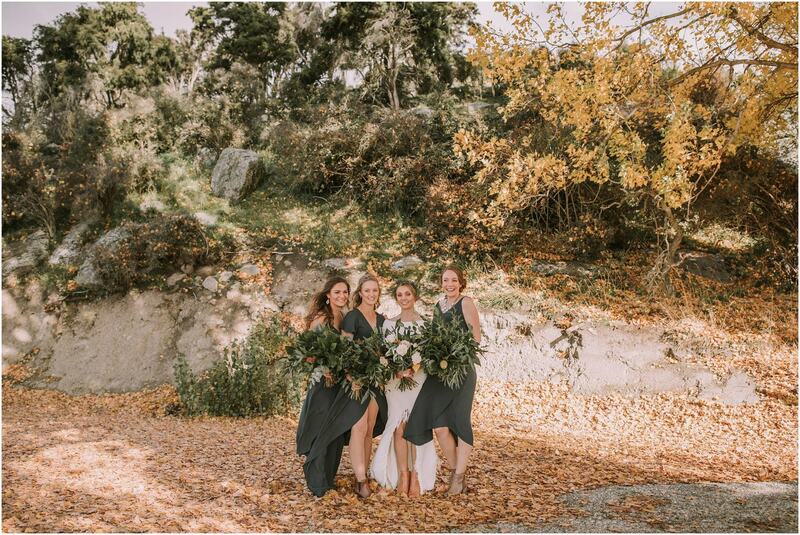 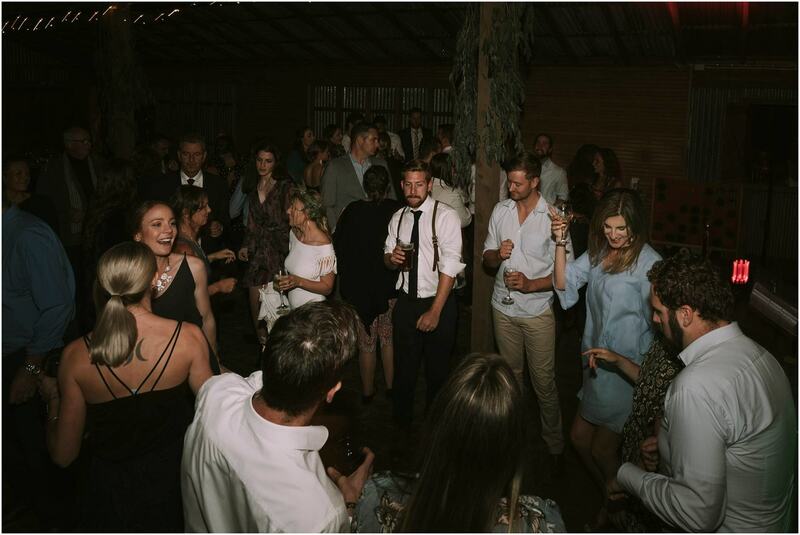 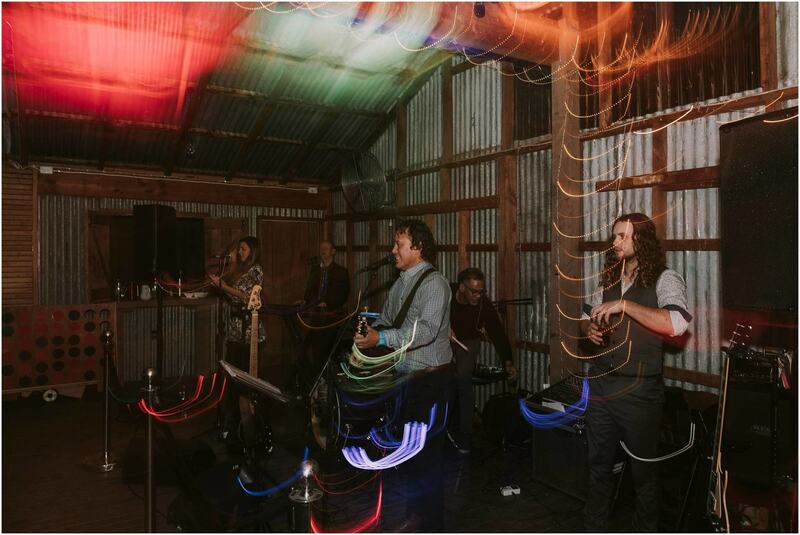 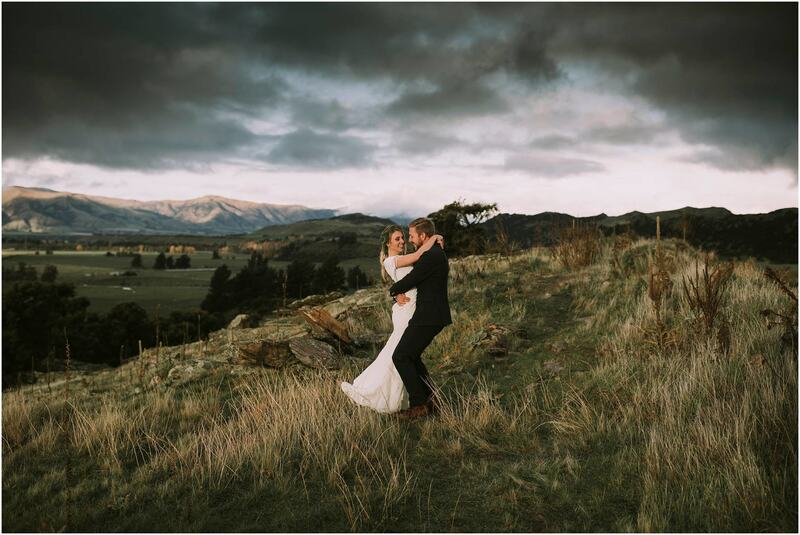 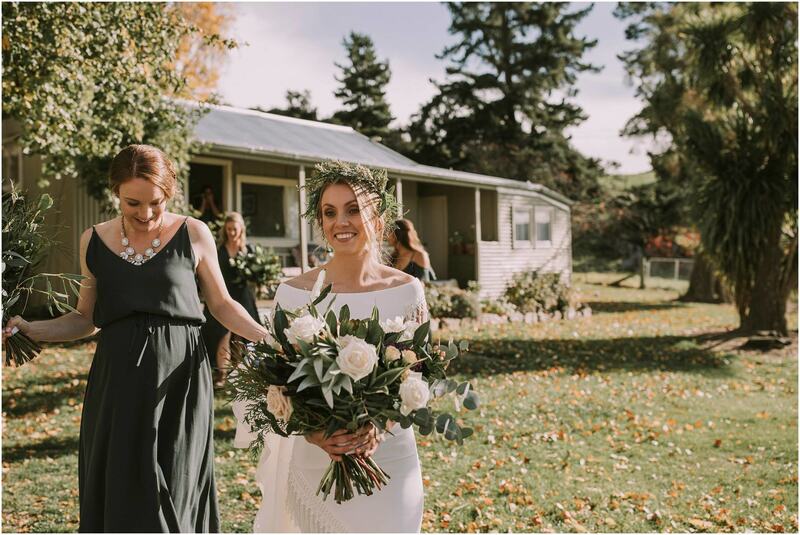 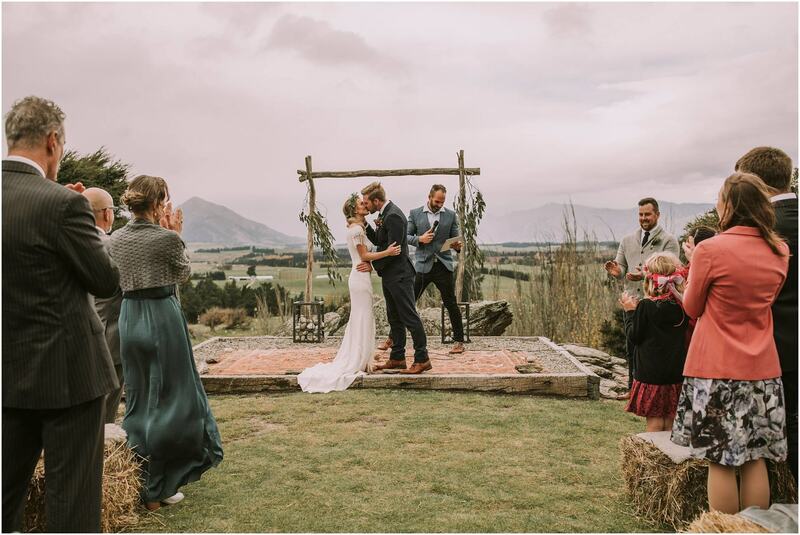 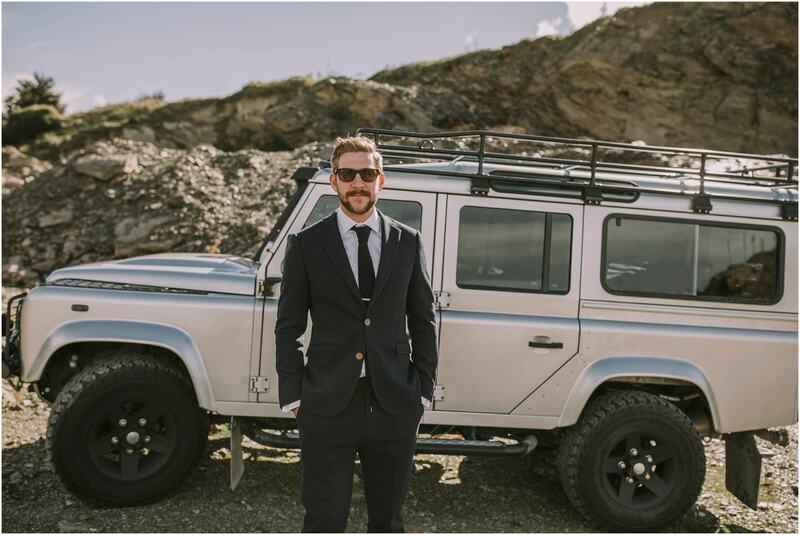 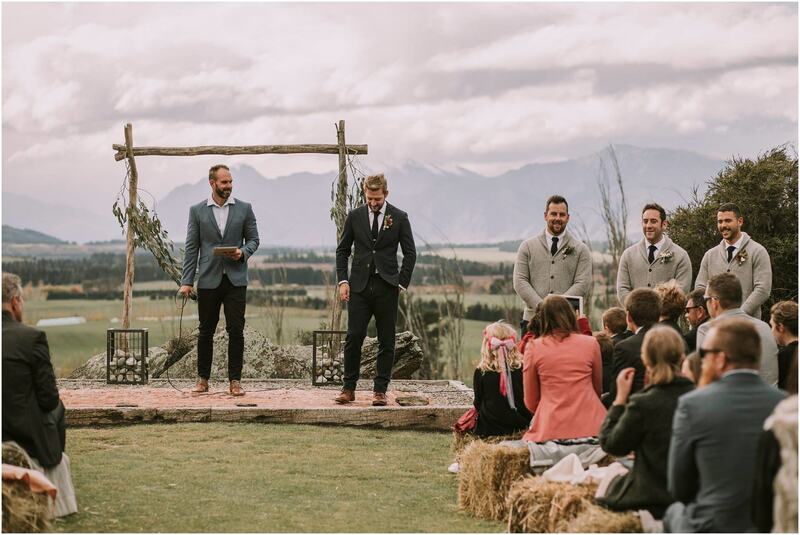 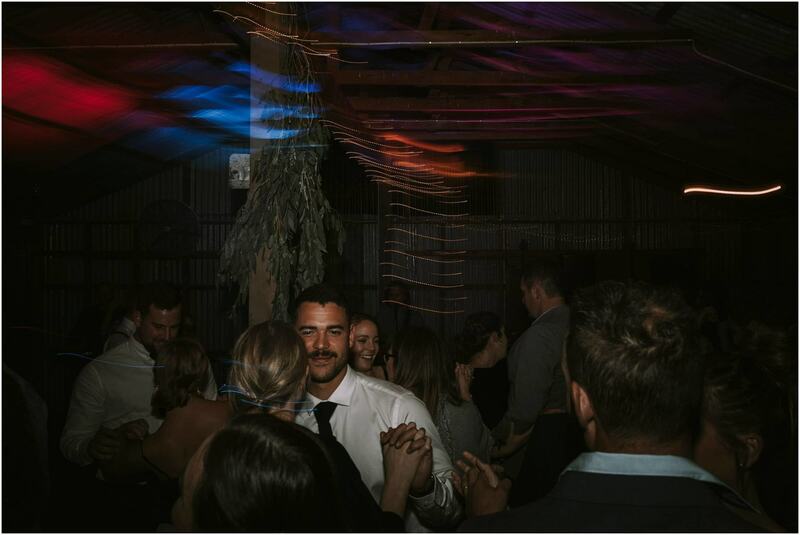 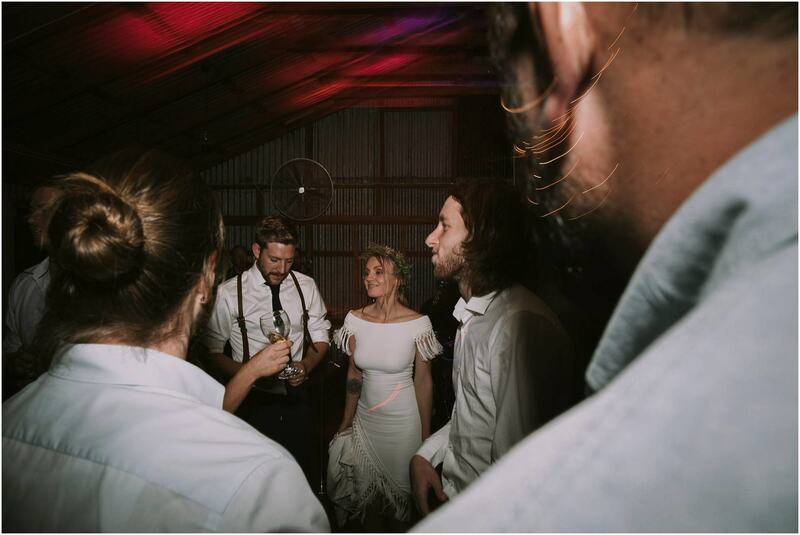 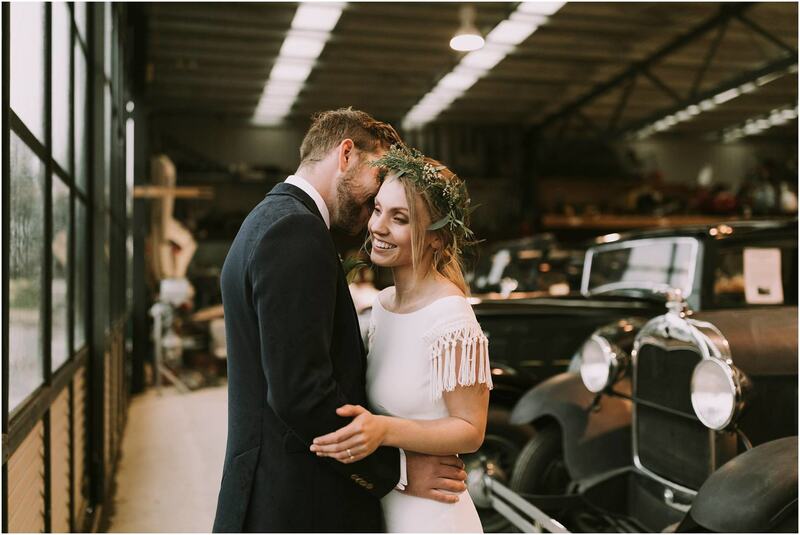 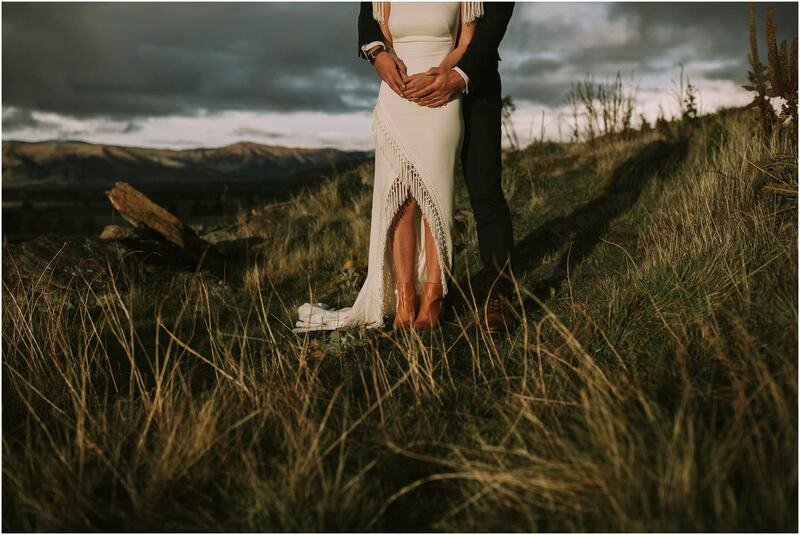 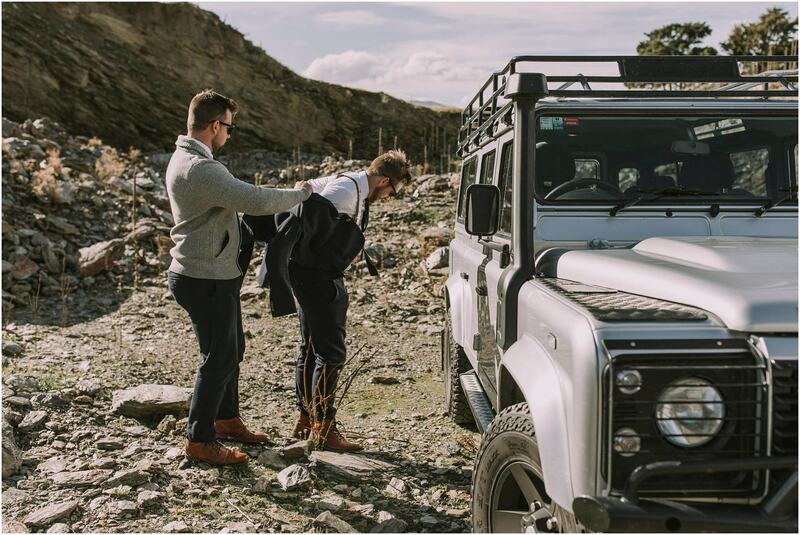 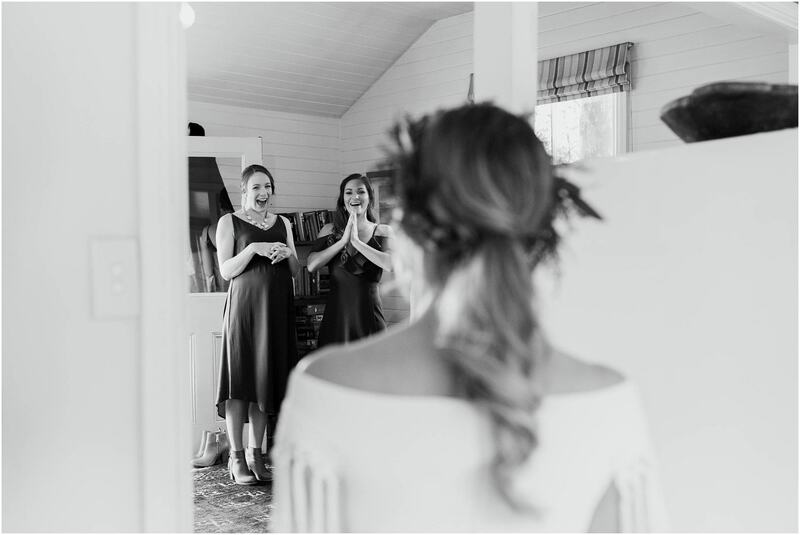 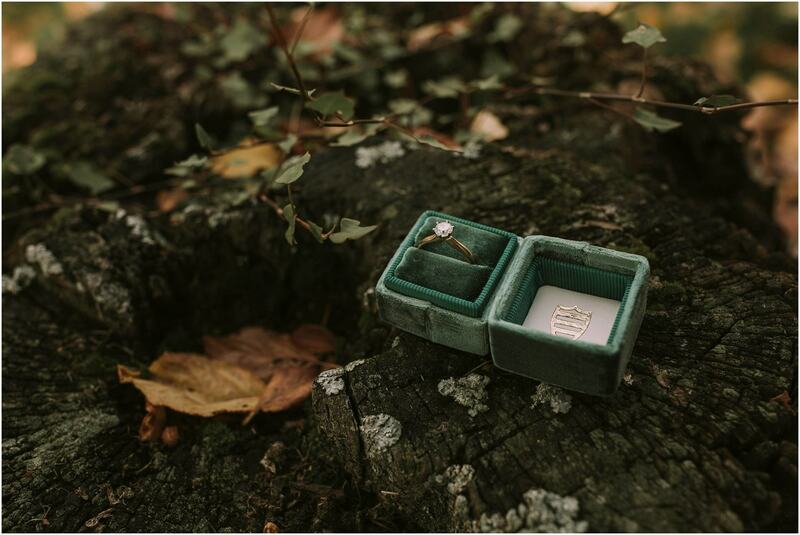 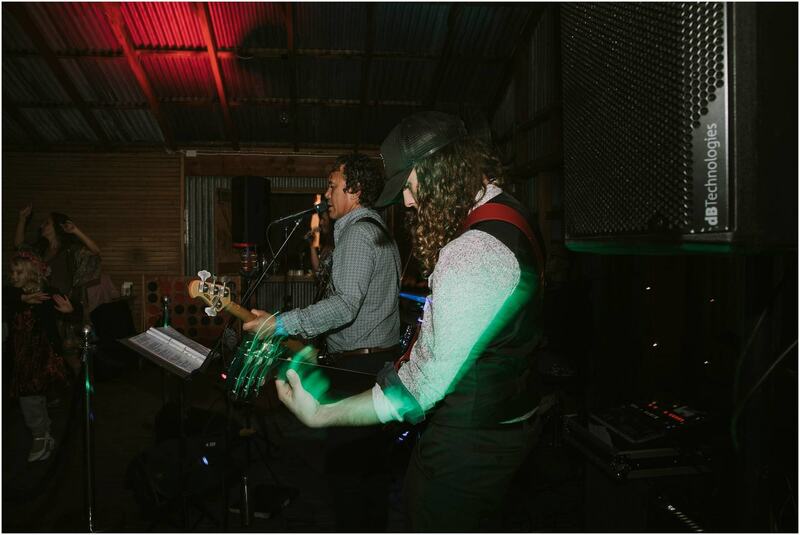 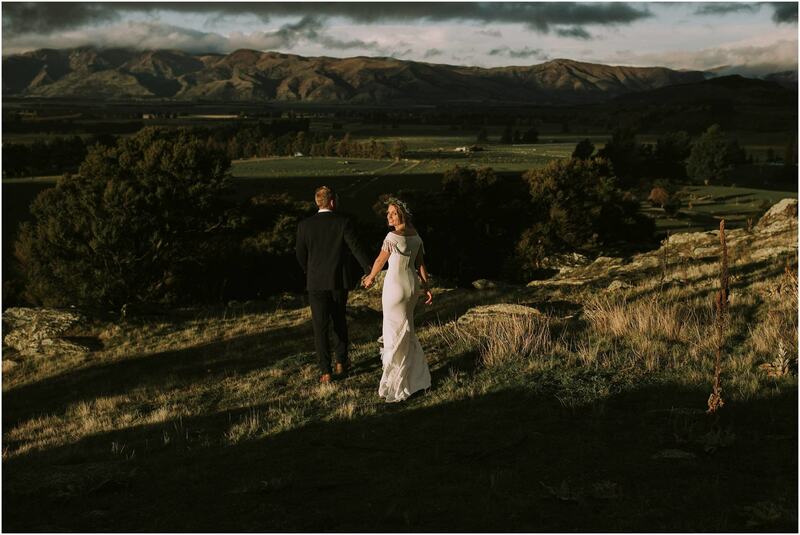 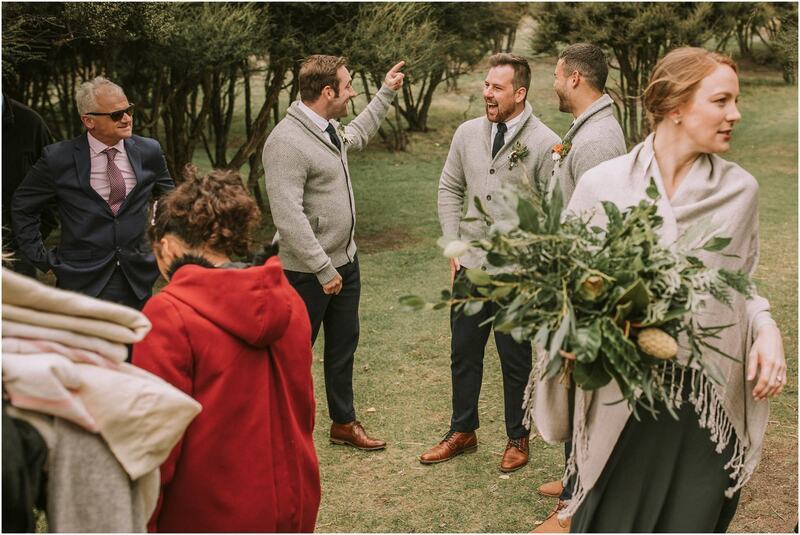 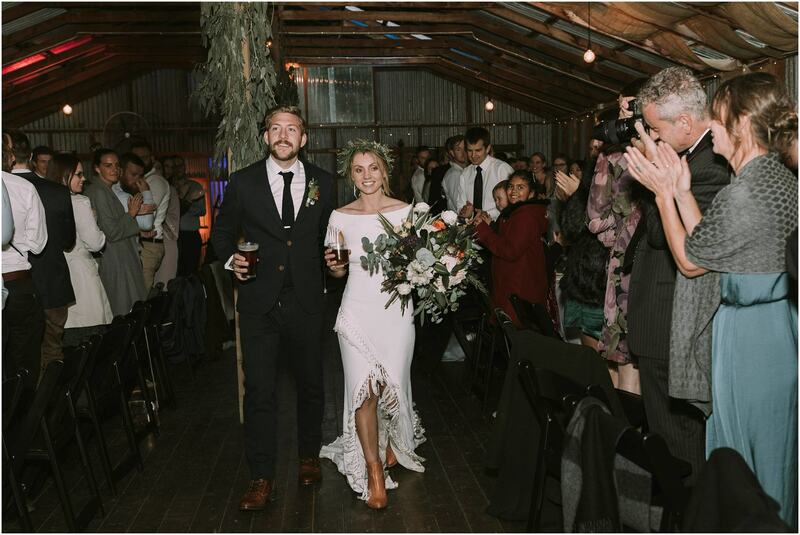 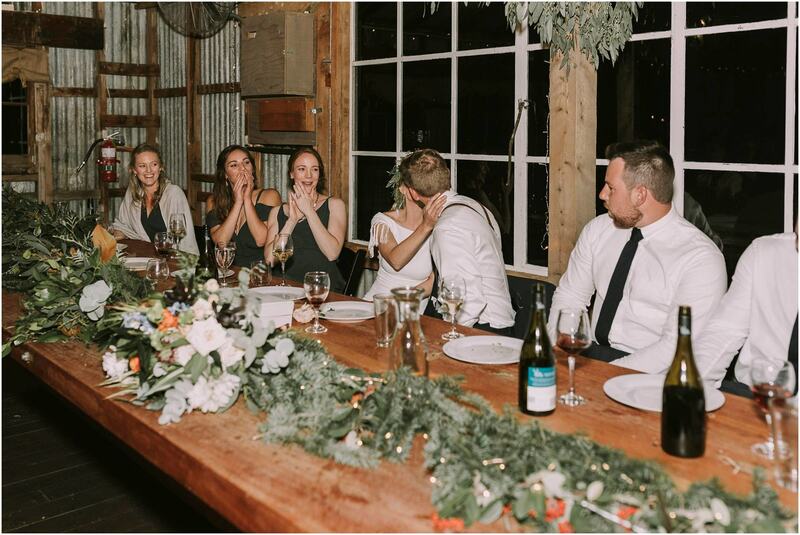 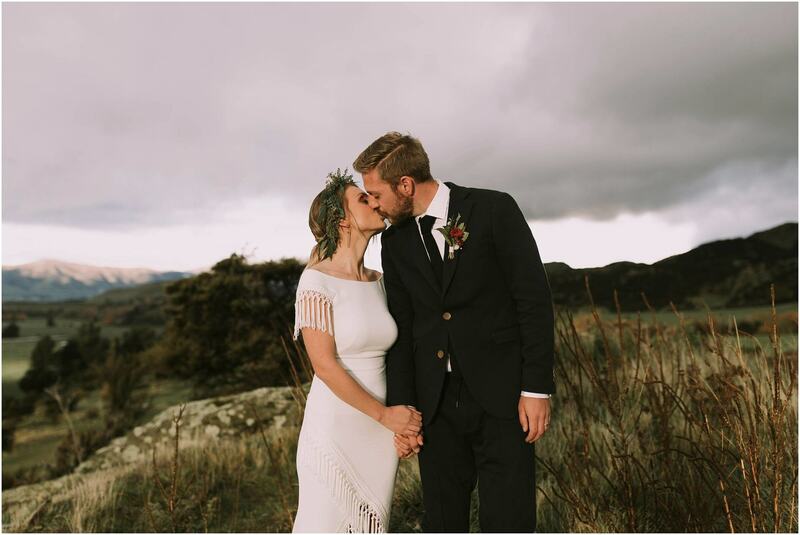 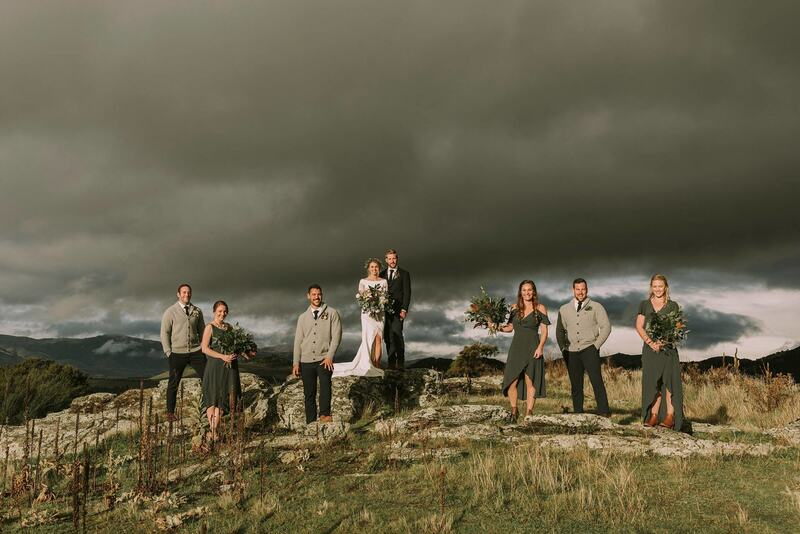 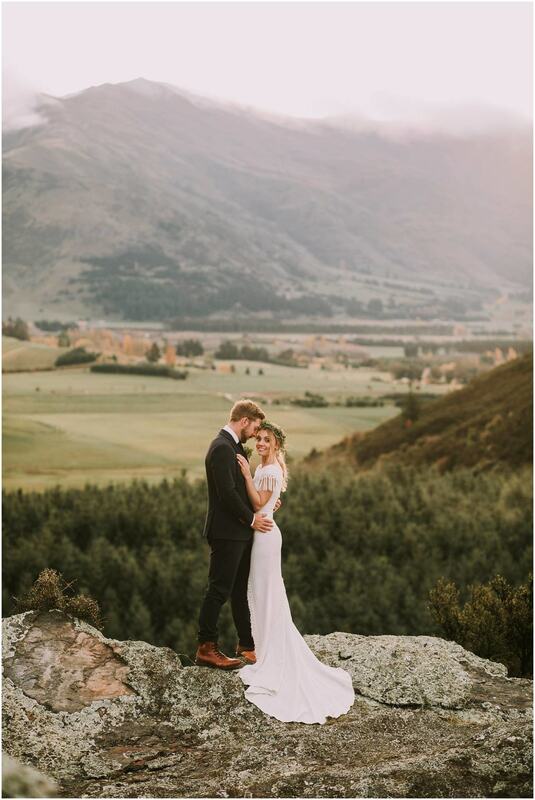 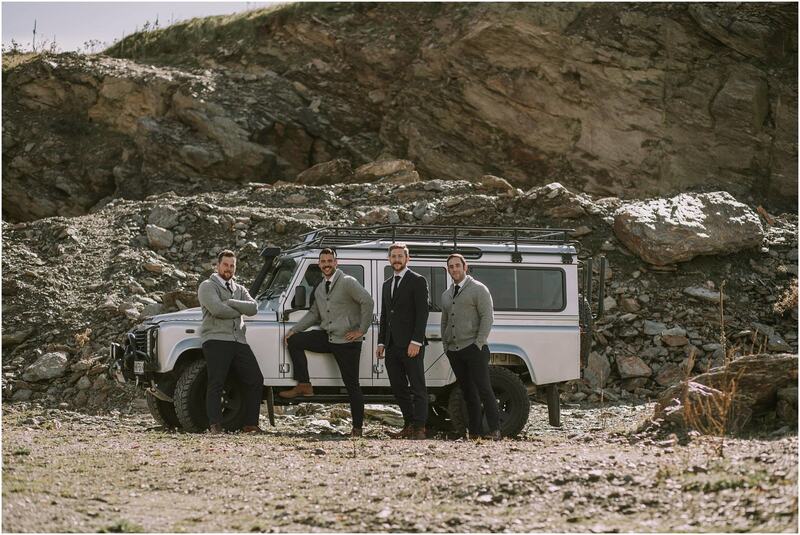 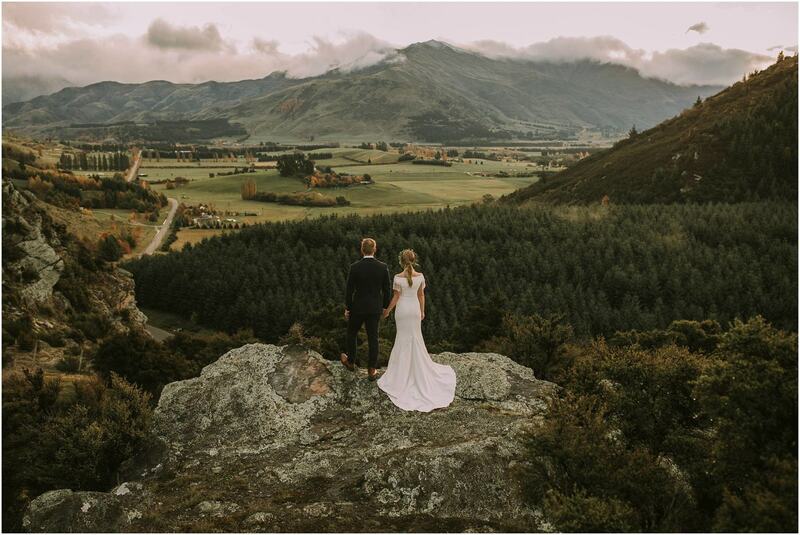 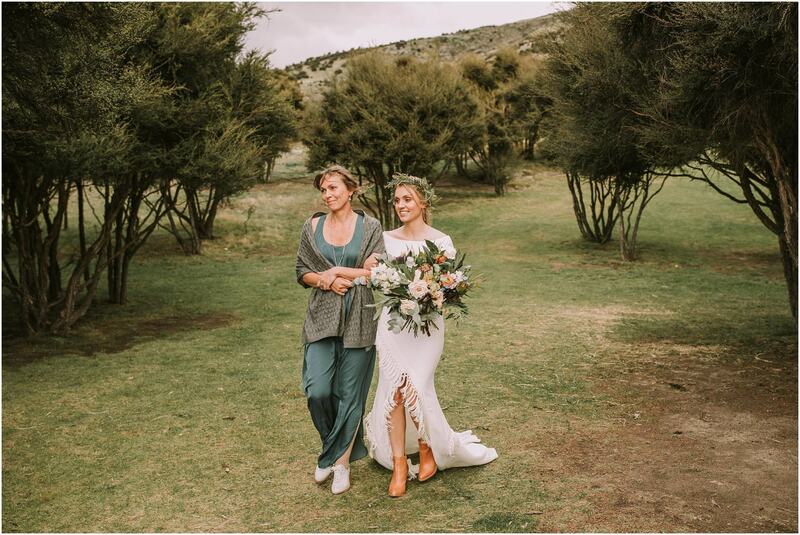 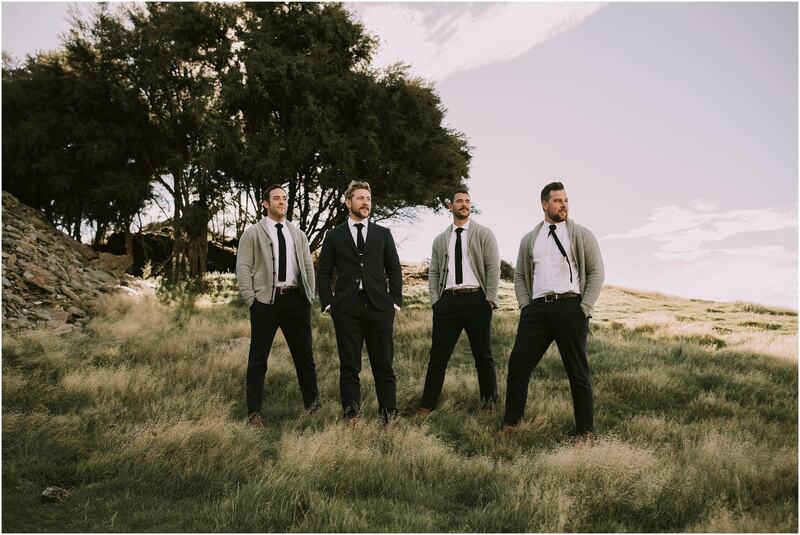 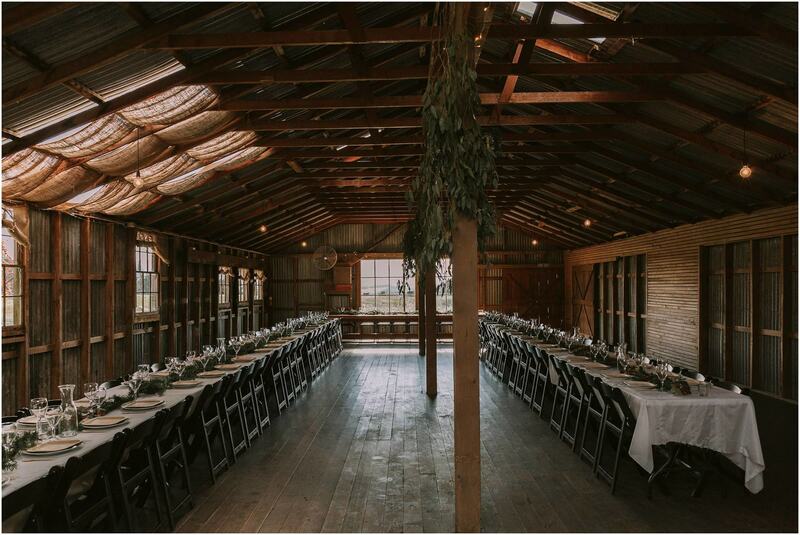 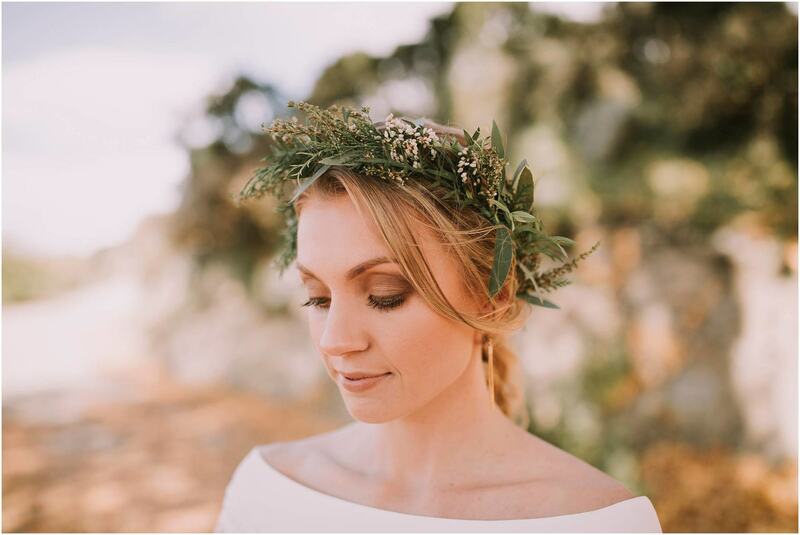 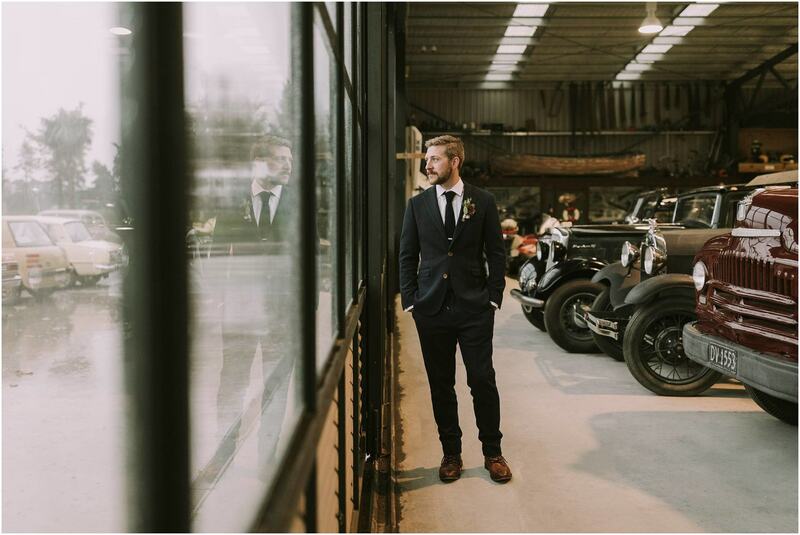 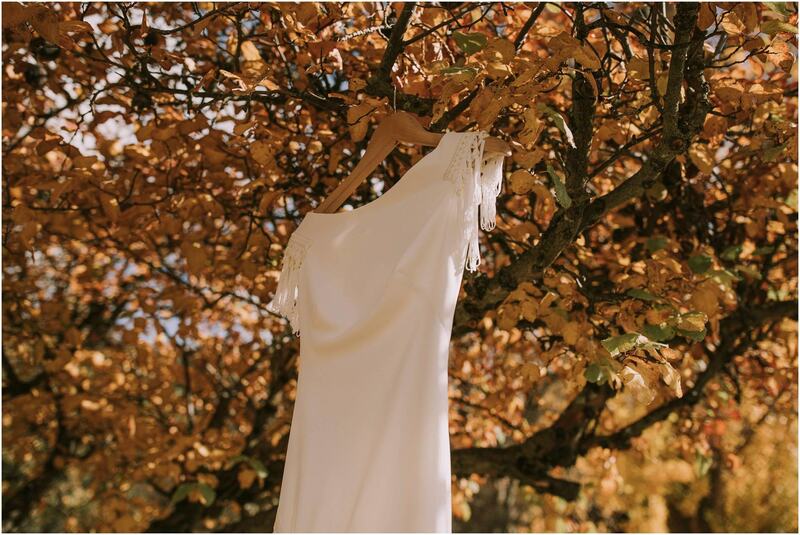 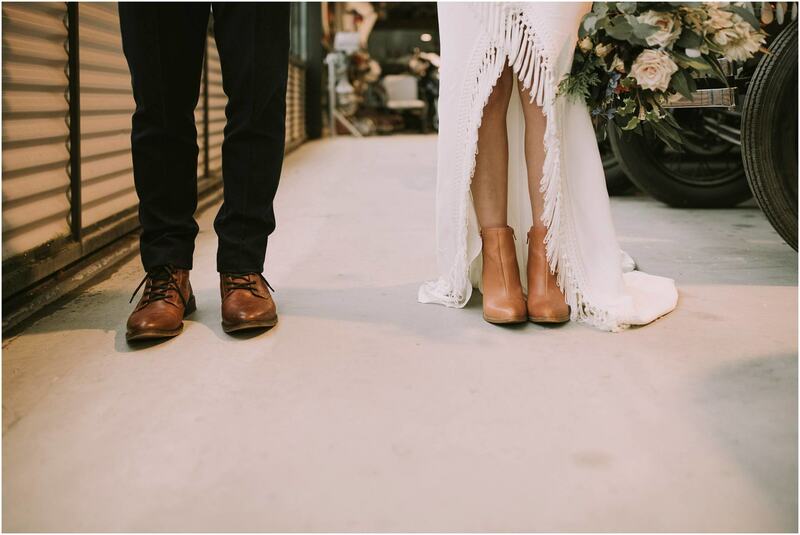 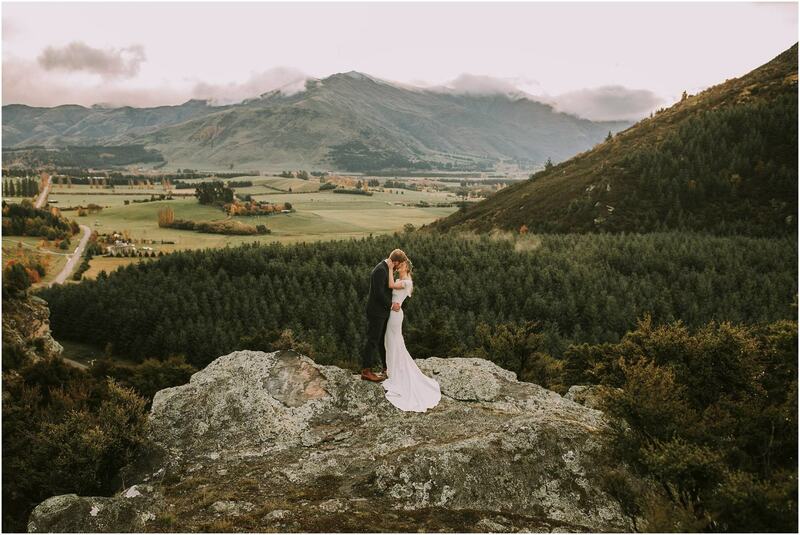 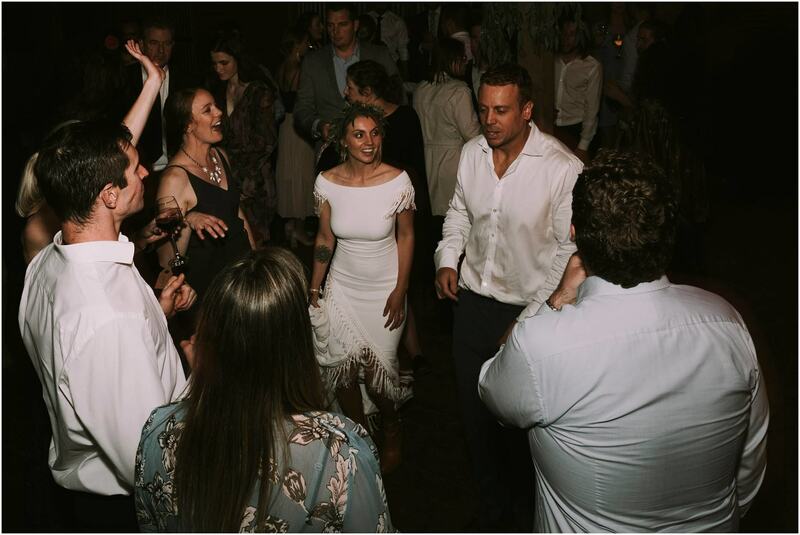 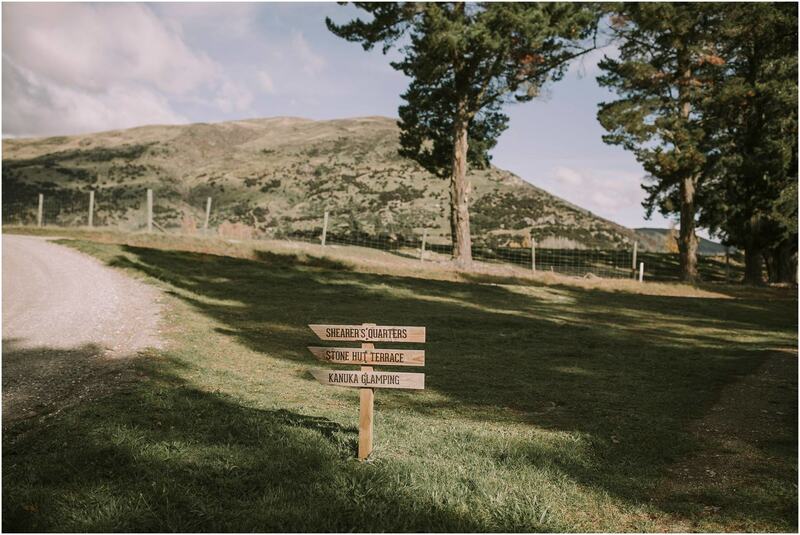 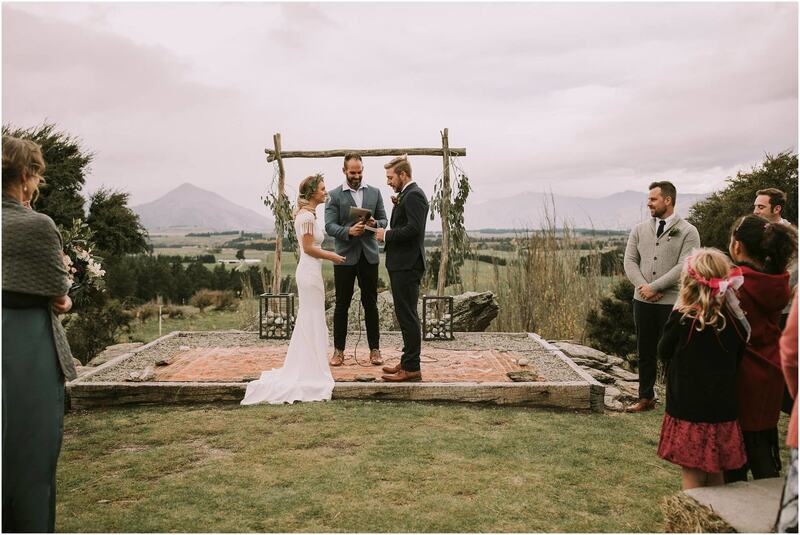 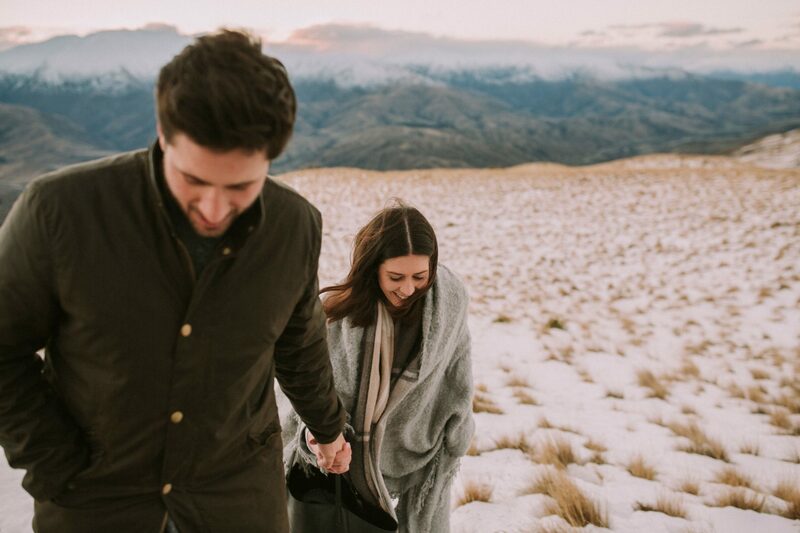 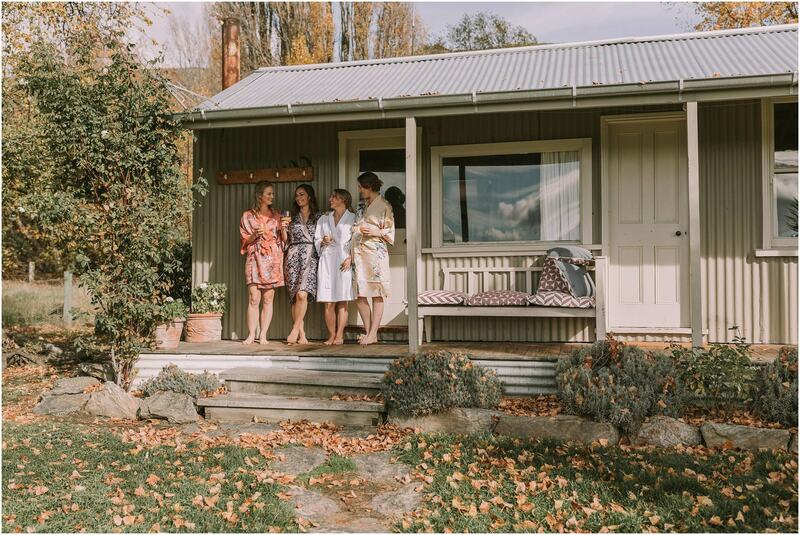 Georgie and Matt chose the beautiful Criffel Woolshed for their intimate winter wedding – Georgie got ready on site in their cute little Shearers Quarters. 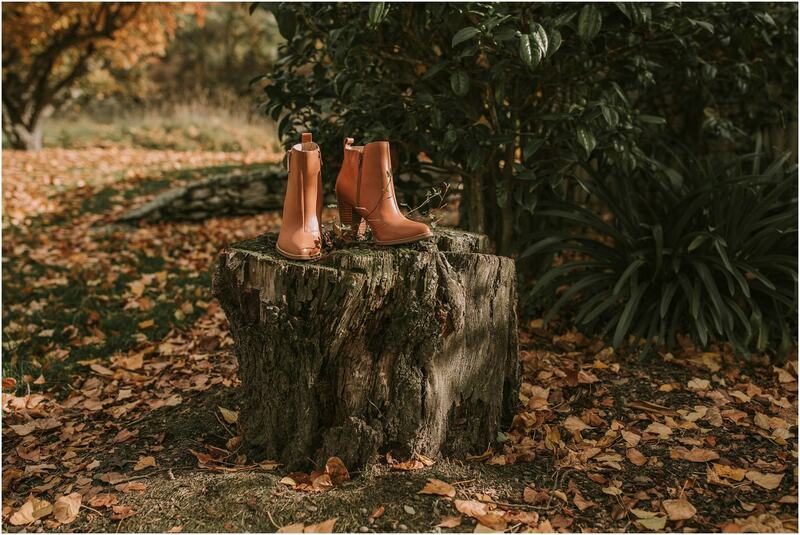 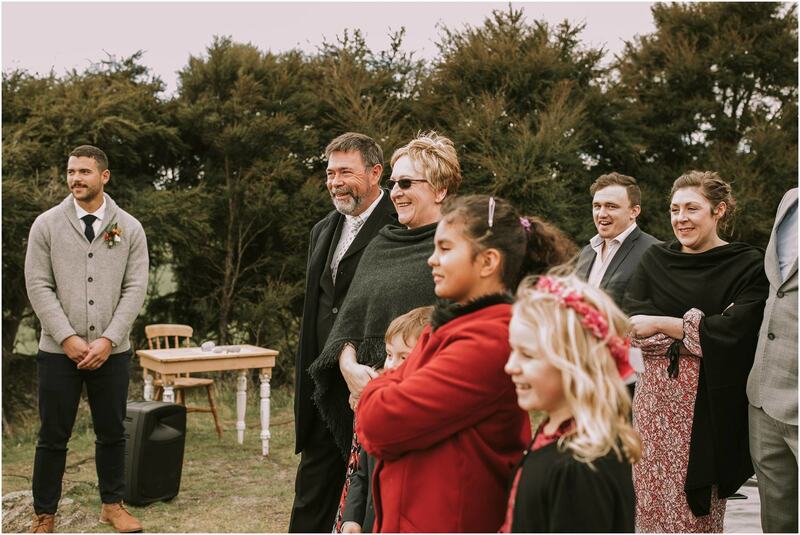 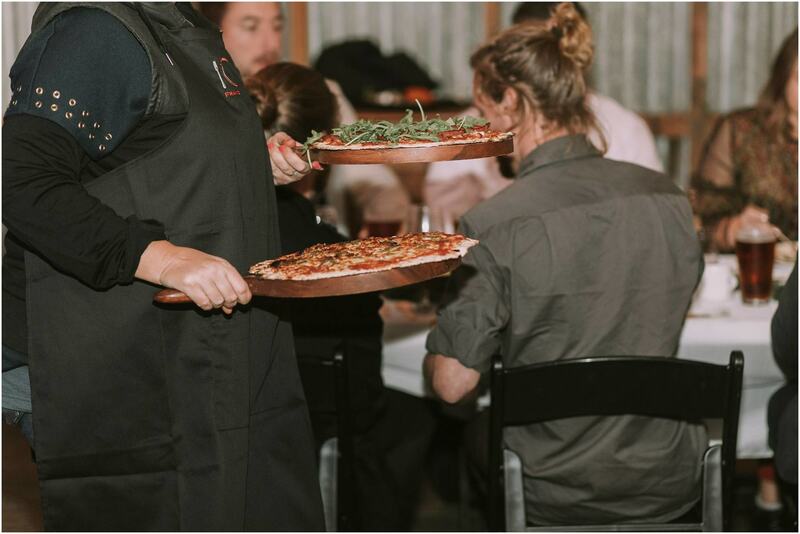 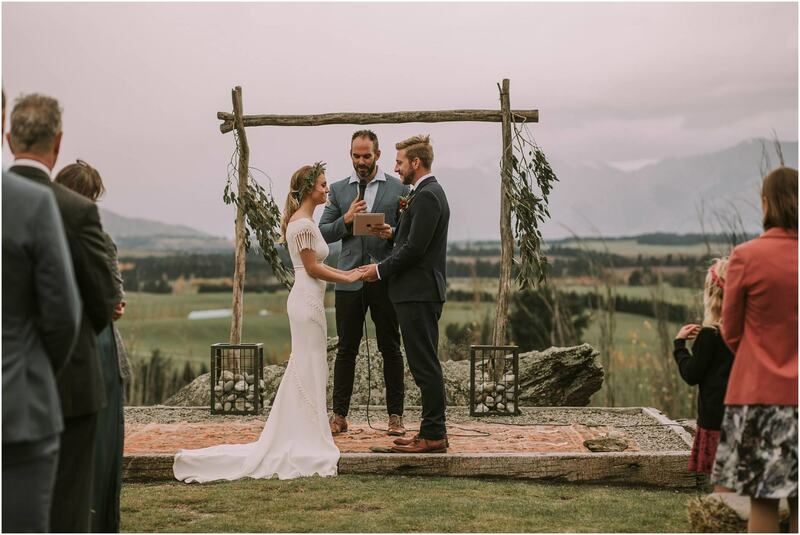 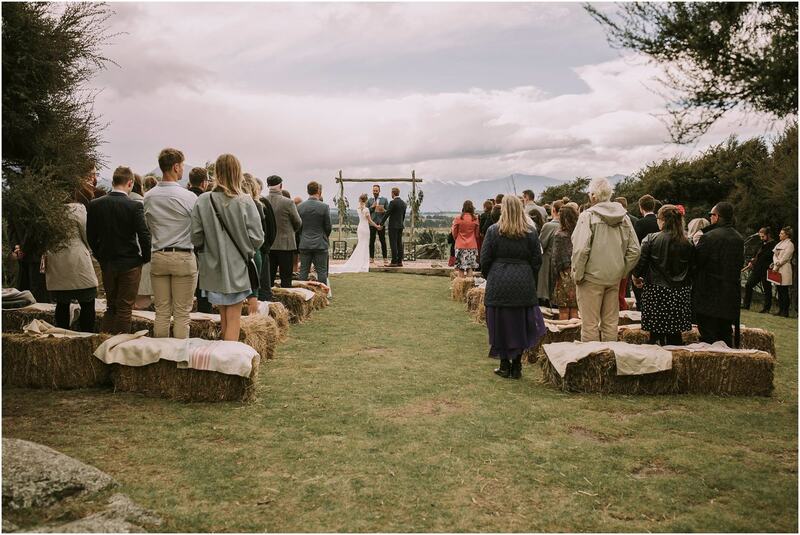 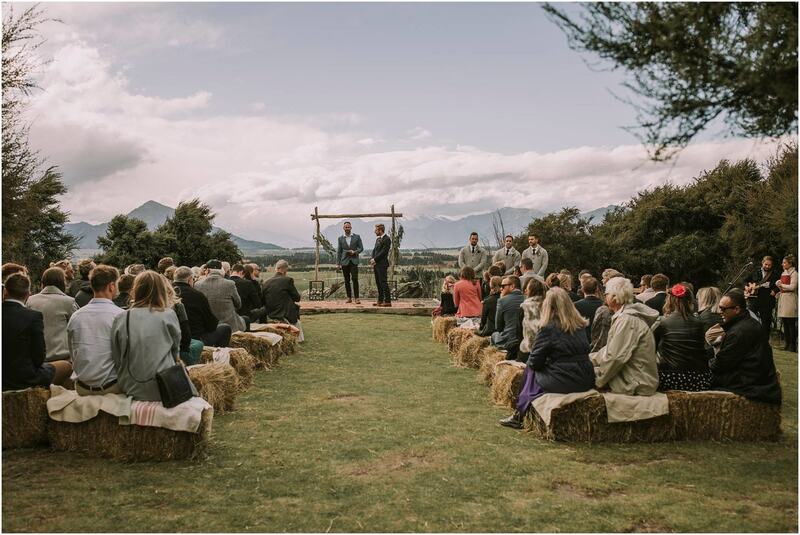 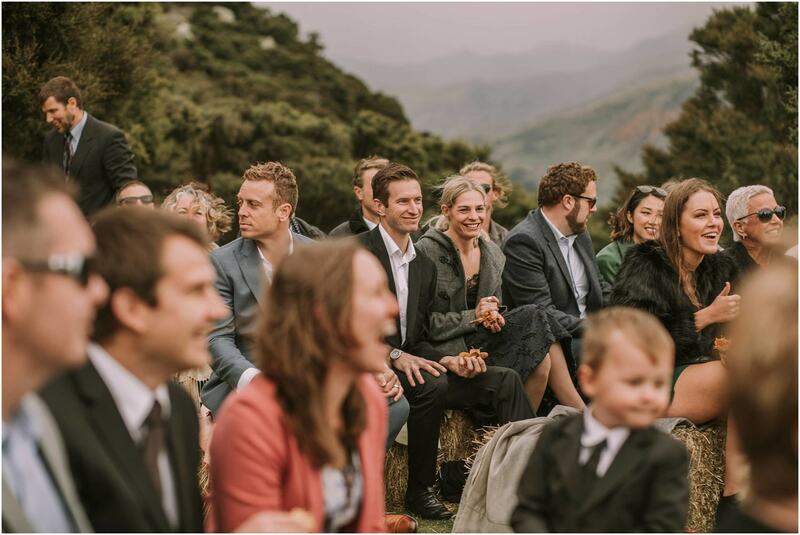 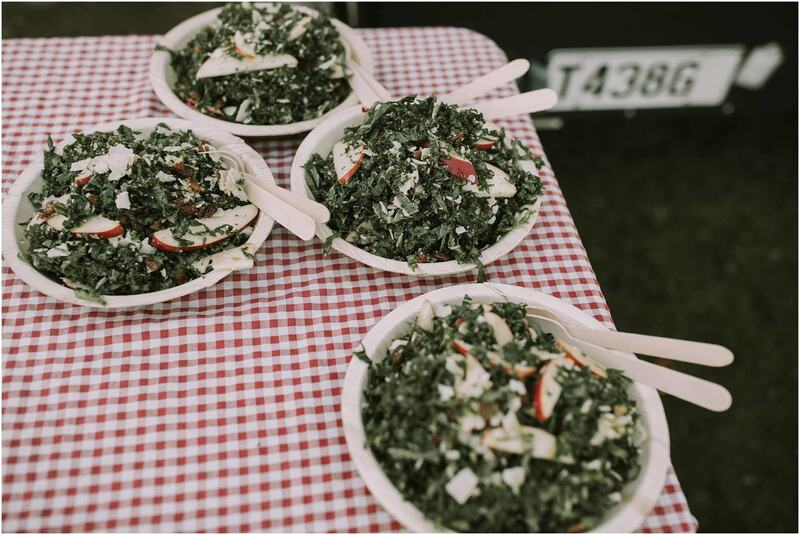 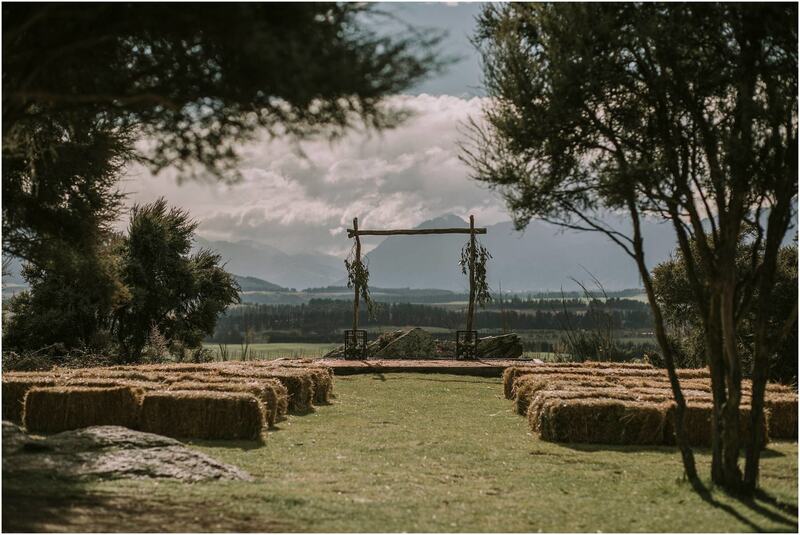 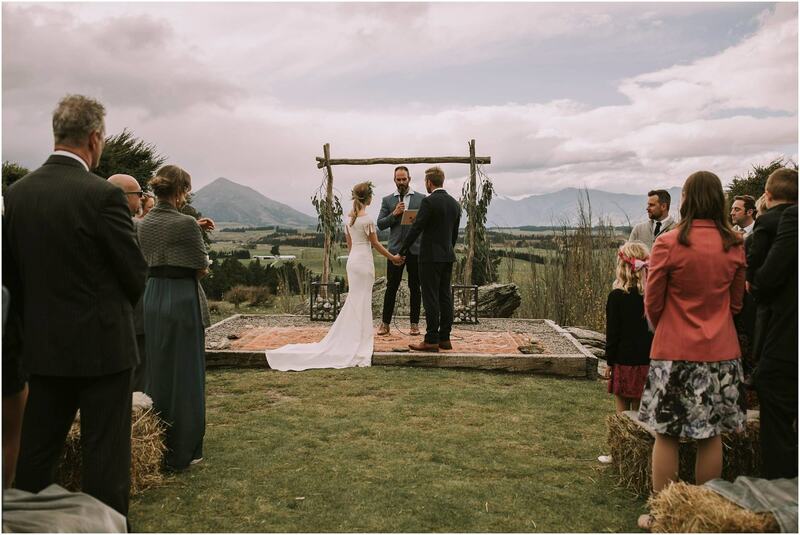 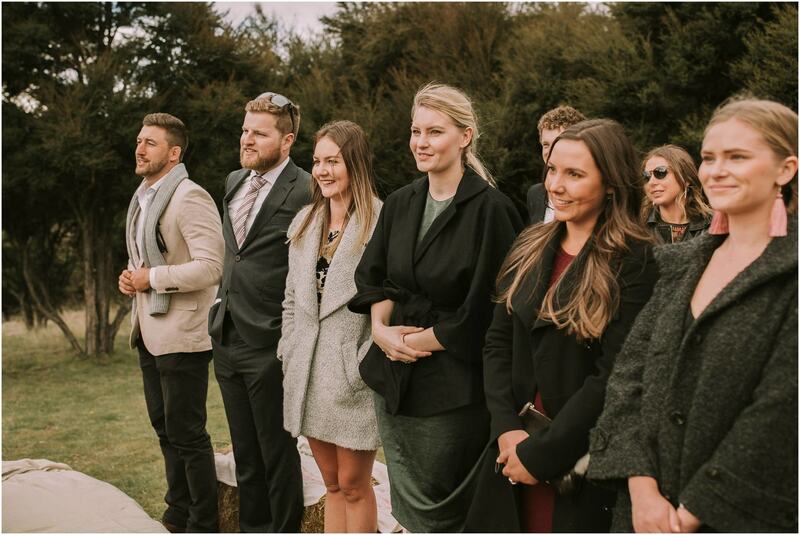 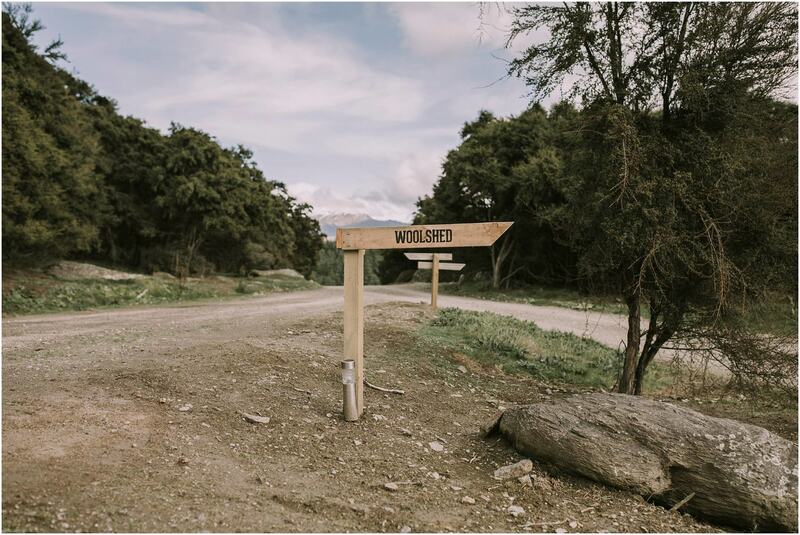 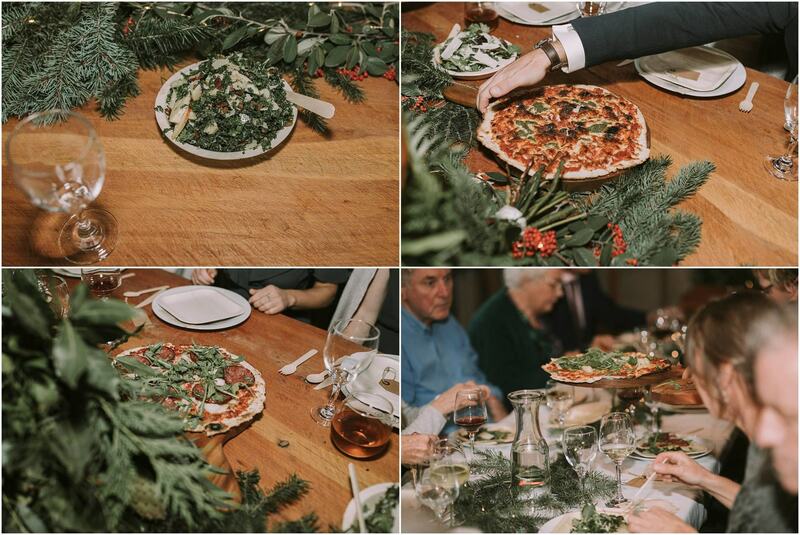 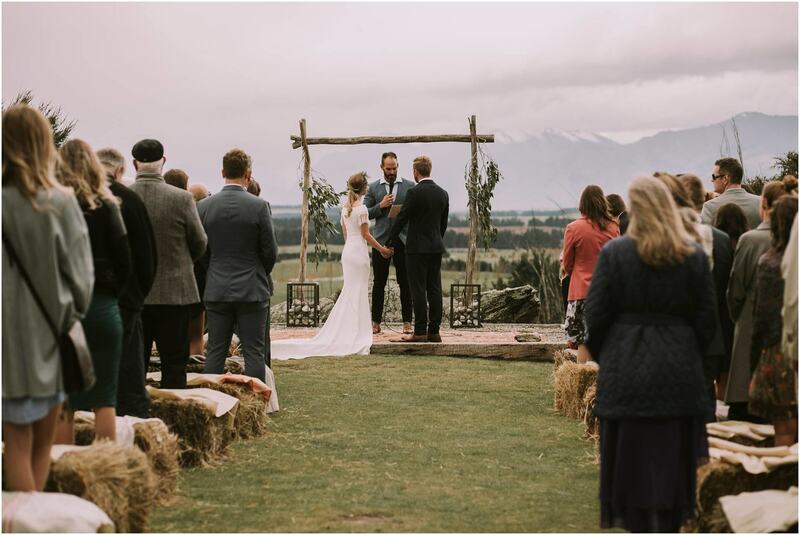 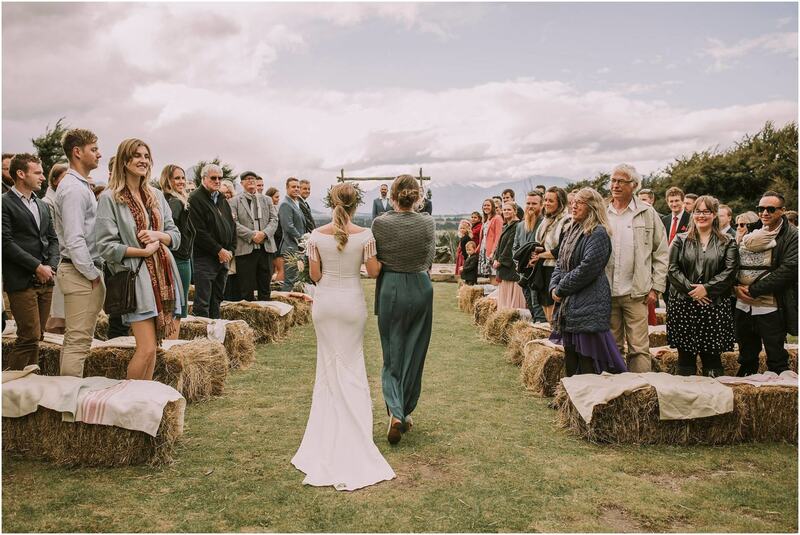 Their beautiful ceremony site had hay bails for guests to sit on then they had woodfire pizza at the woolshed for dinner on eco-friendly plates and cutlery (which fits in with the couples love of sustainability). 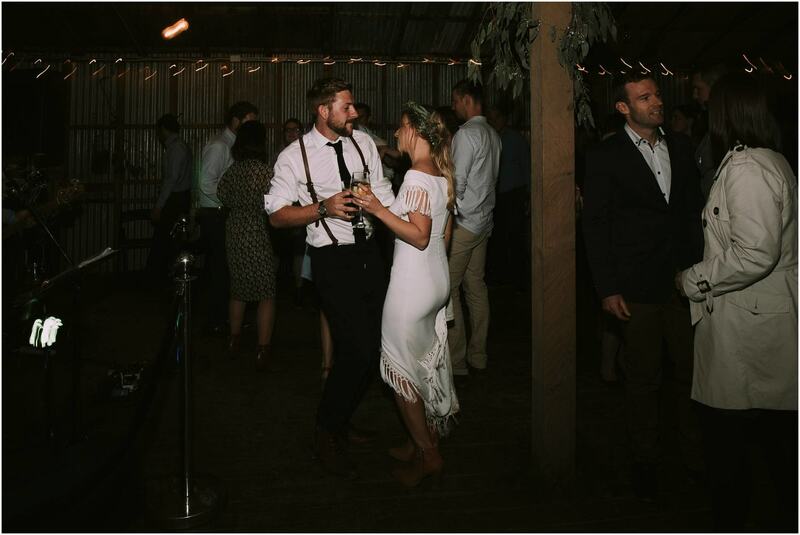 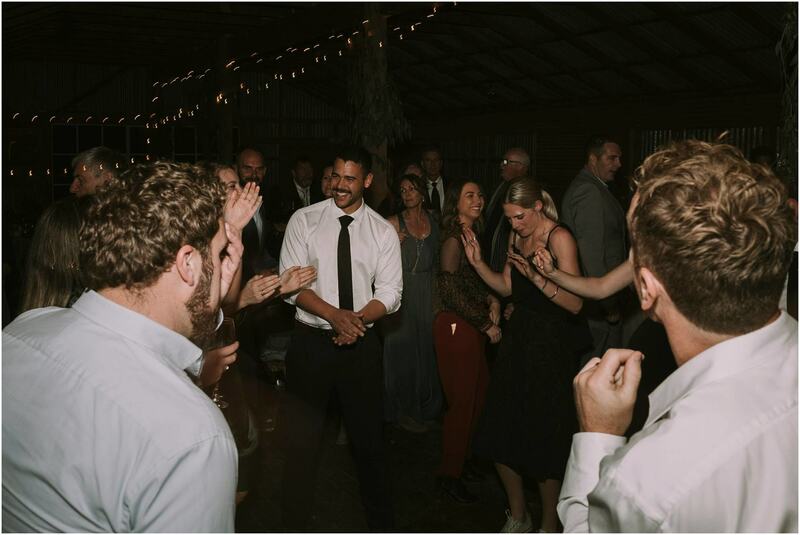 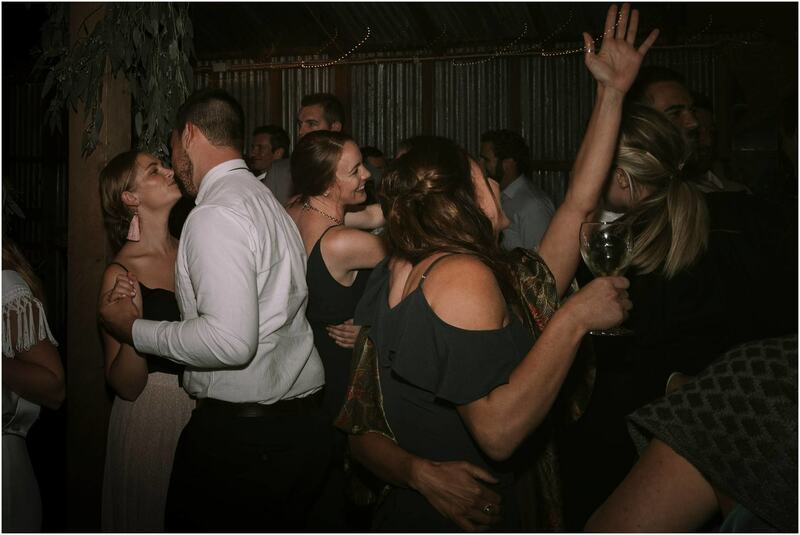 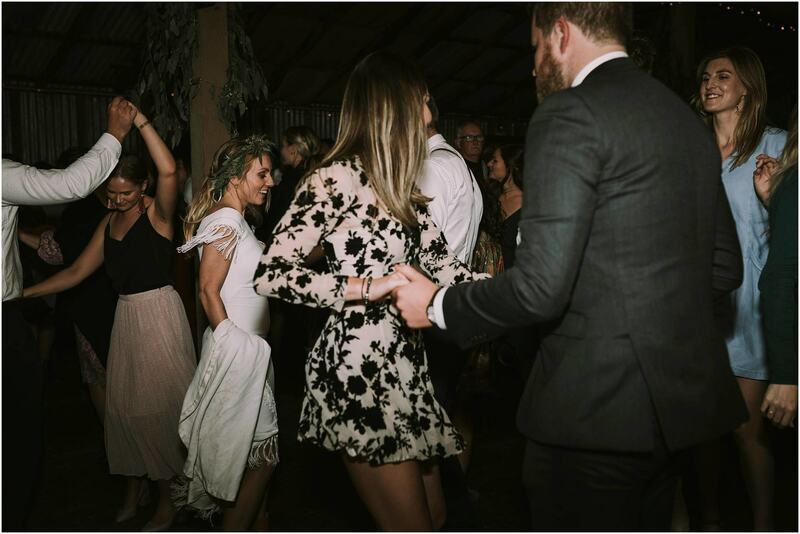 They danced the night away to the awesome Queenstown band Mojo. 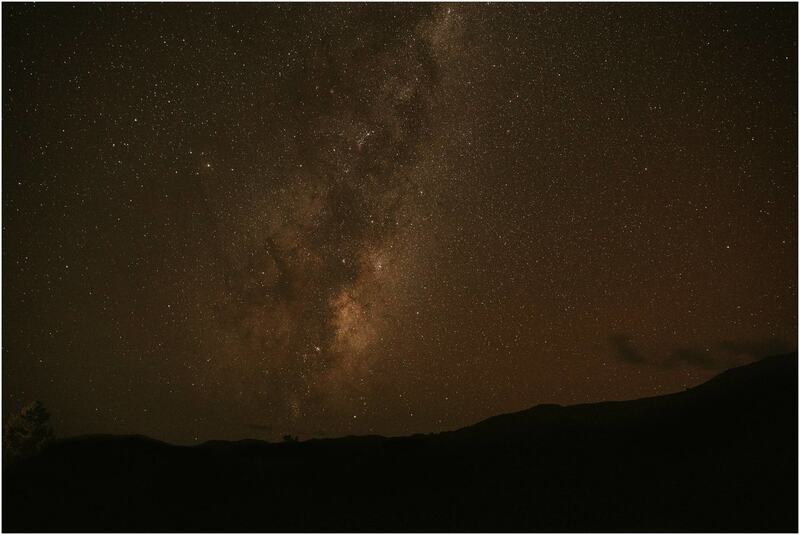 There was even the end of an aurora as we left (see the bottom star pic). 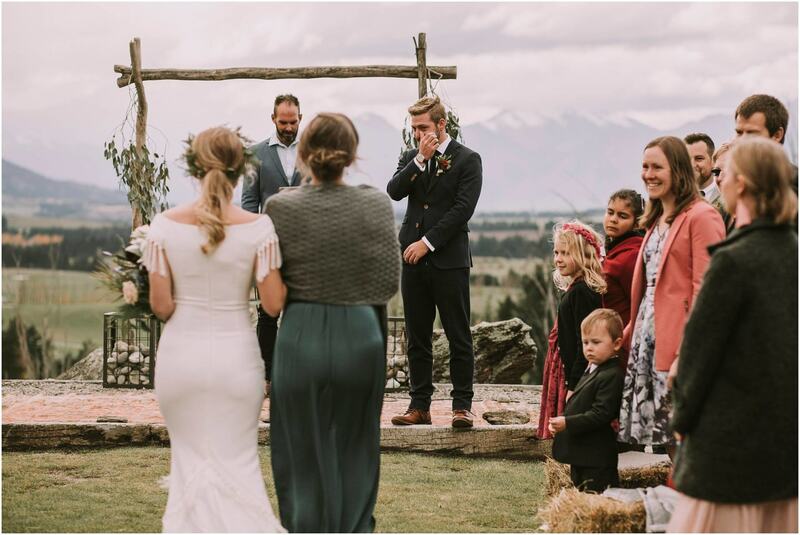 * Matt cried in the ceremony it was so so cute! 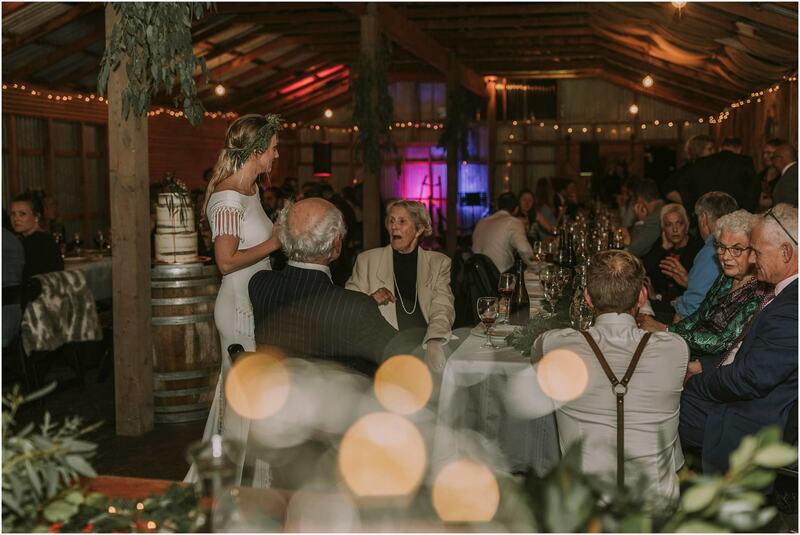 * The mother of the bride helped set up the entire venue with friends and family from 5.30am and it was really a family effort for the whole day. 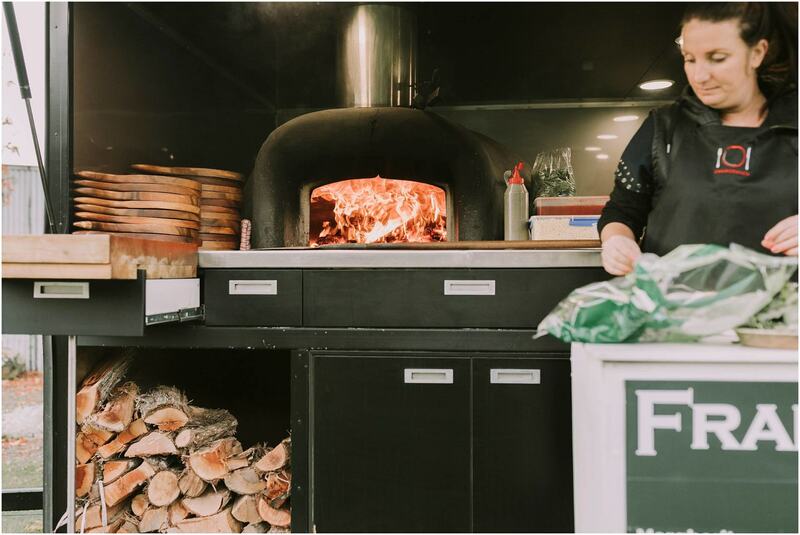 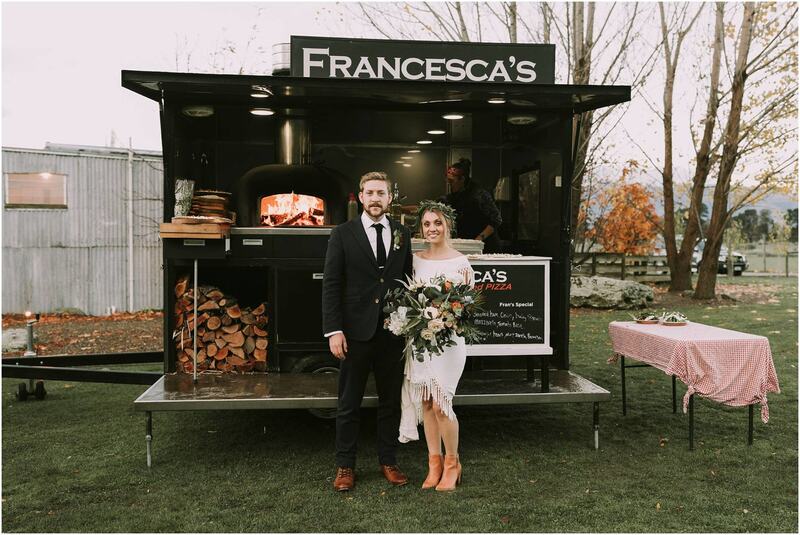 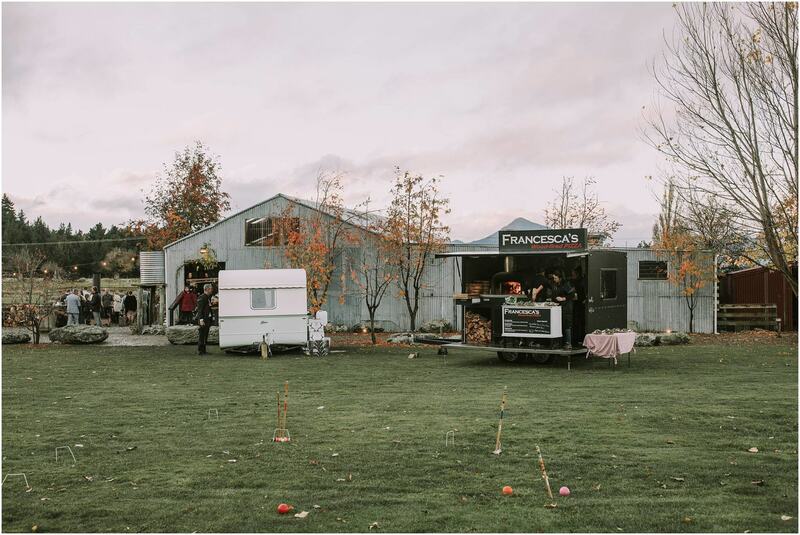 * We had pizza for dinner from Francesca’s Italian Kitchen Wanaka pizza van it was so awesome! 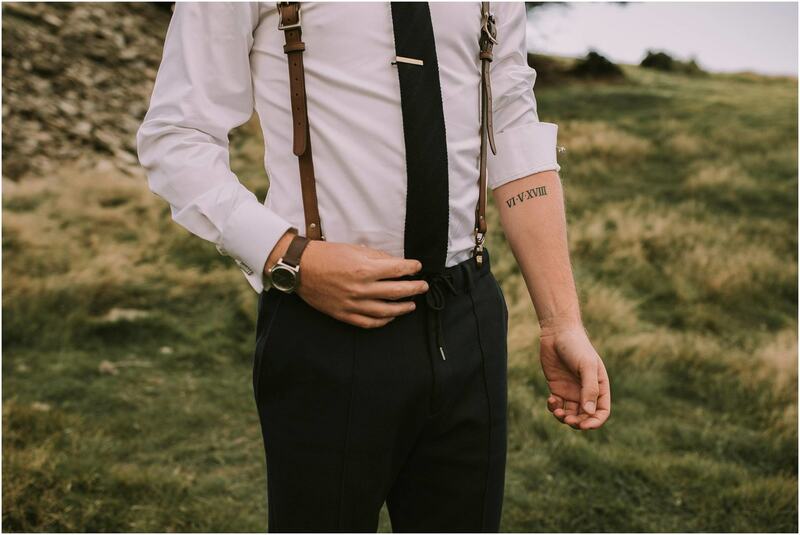 * Matt had their wedding date tattooed on his arm. 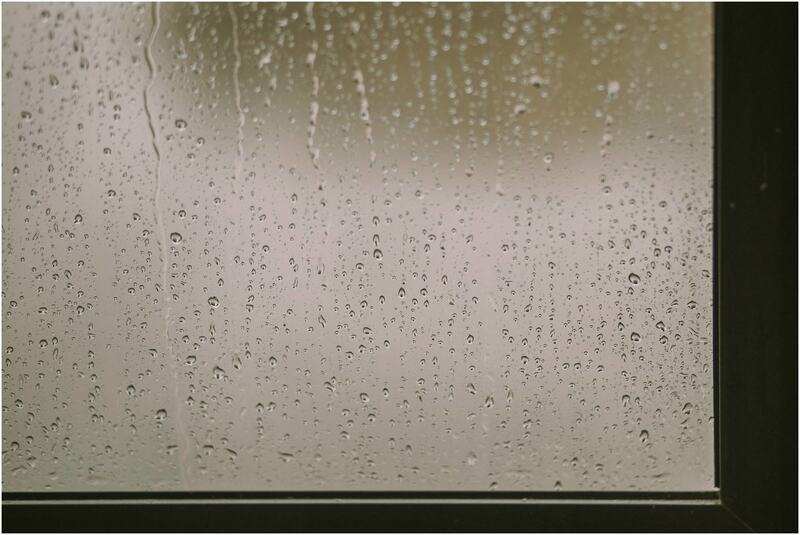 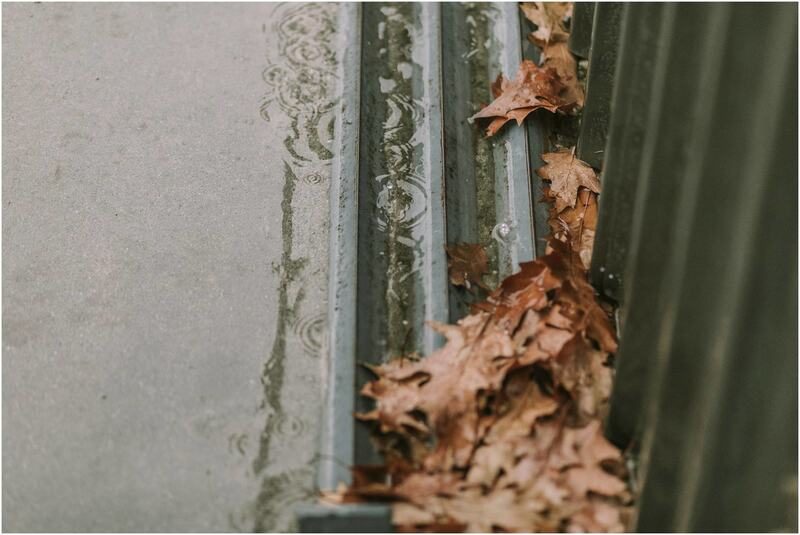 * We went to the toy and transport museum for photos when it rained! 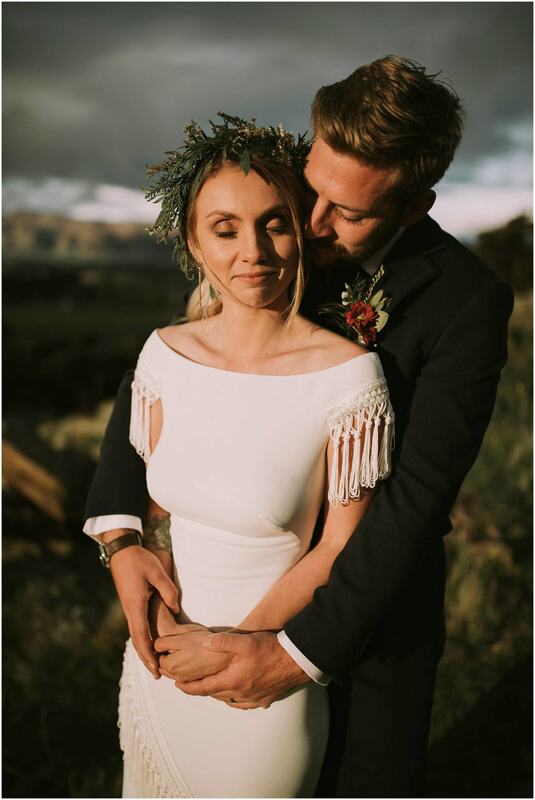 * I am obsessed with Georgies dress SERIOUSLY AMAZING! 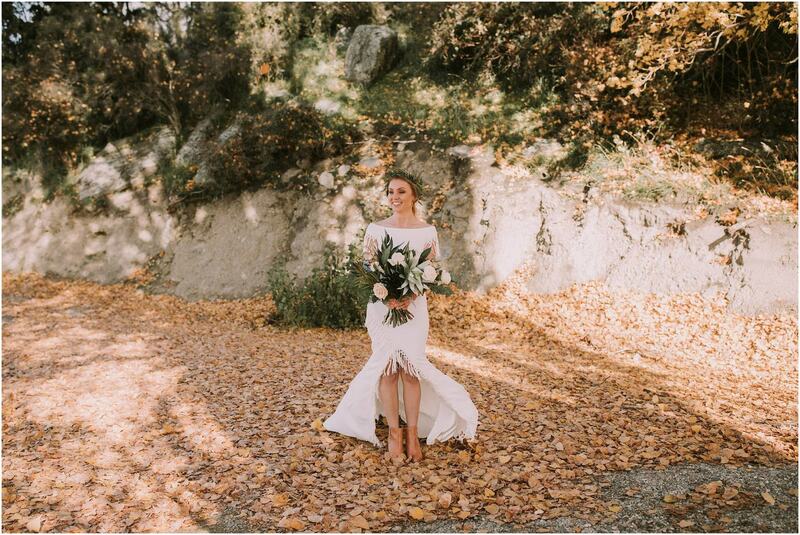 * The autumn theme was so beautiful with leaves thrown as confetti. 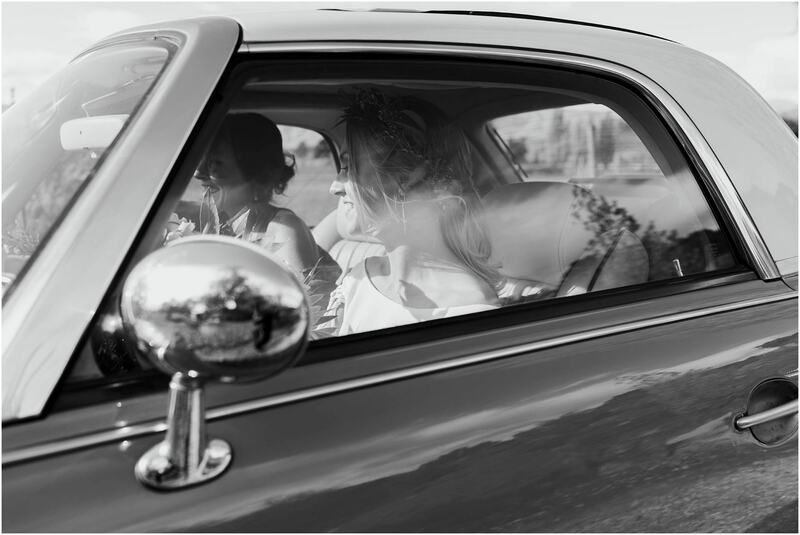 This wedding was Featured on Hello May you can see the full blog HERE. 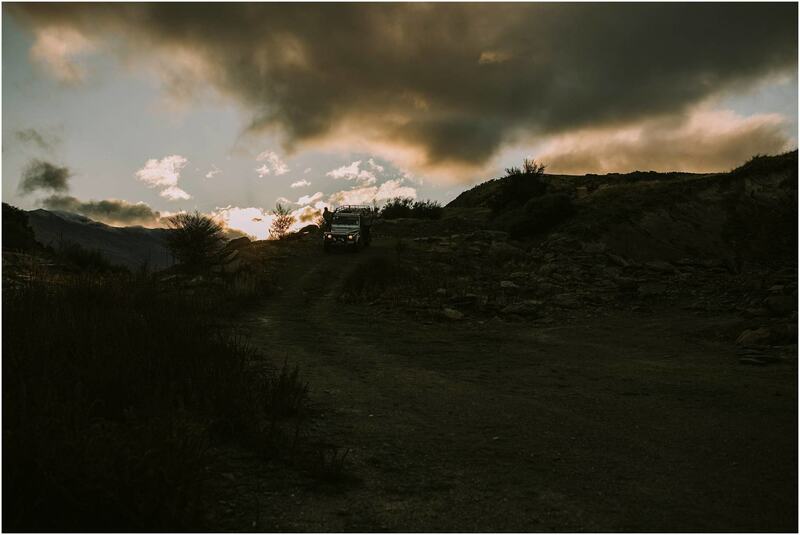 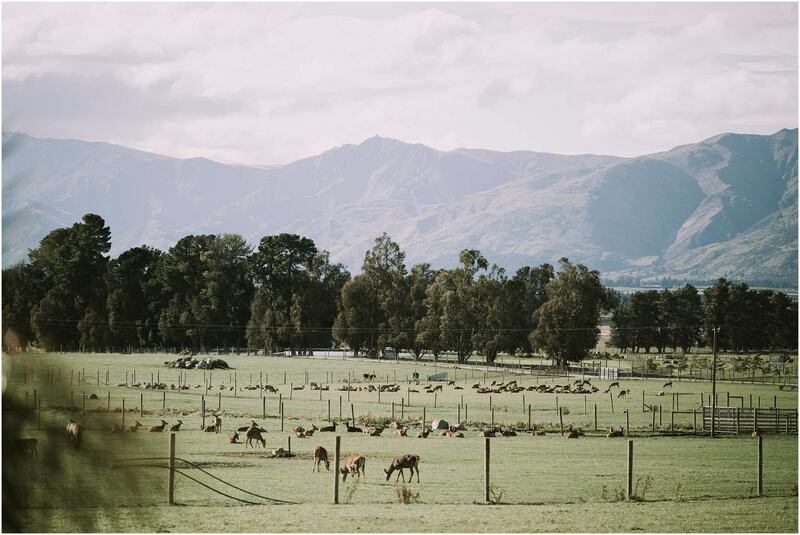 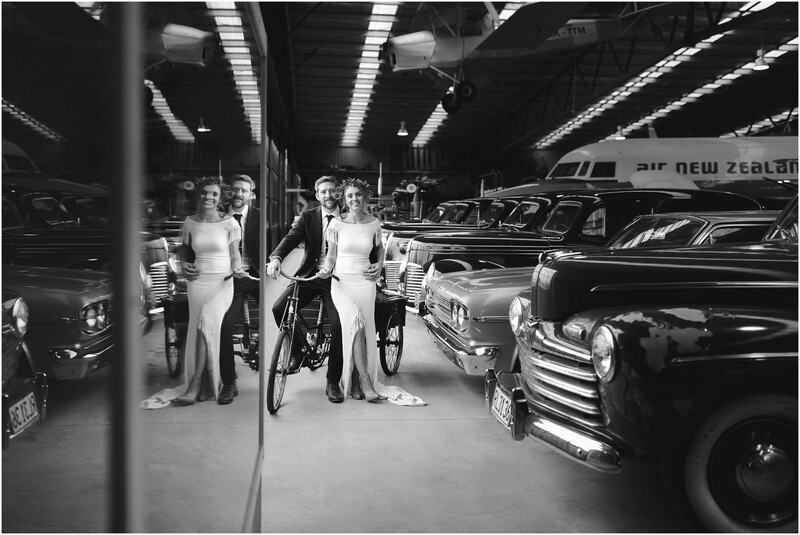 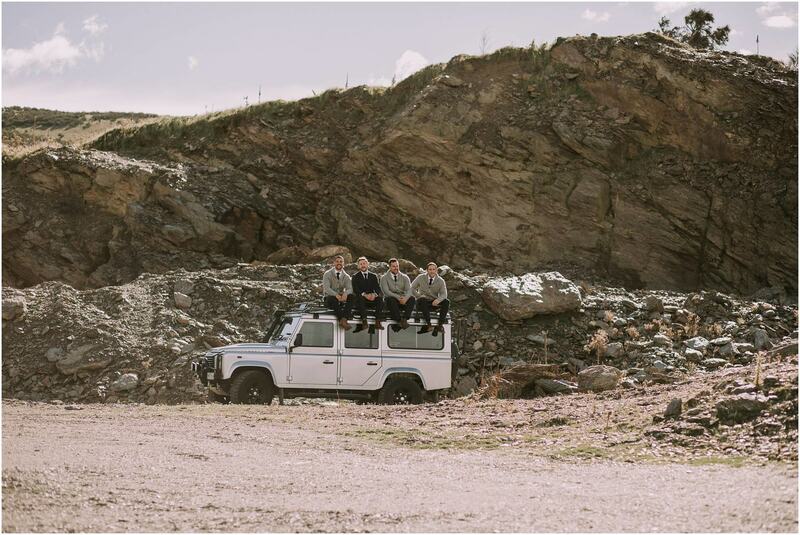 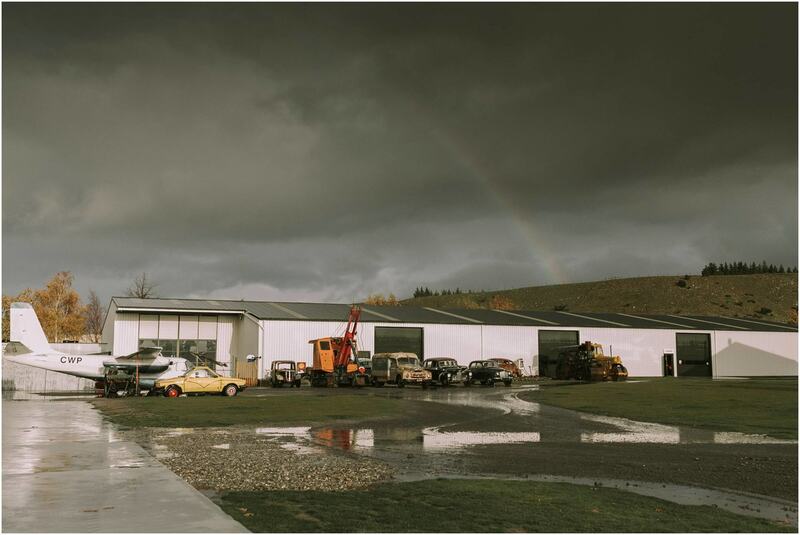 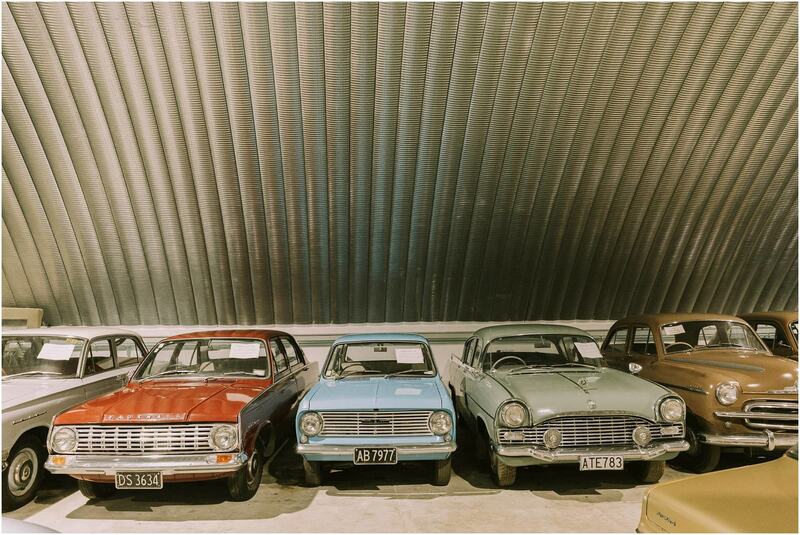 Thanks to the Wanaka Toy and Transport museum for letting us shoot there when it was torrential rain and wind!